It can be difficult to find an appropriate gift, particularly when you are rushed off your feet. 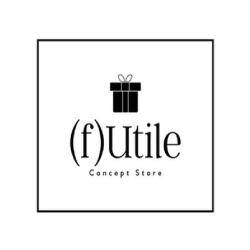 (f)Utile aims to meet this need by offering a wide range of gifts for all types of events. 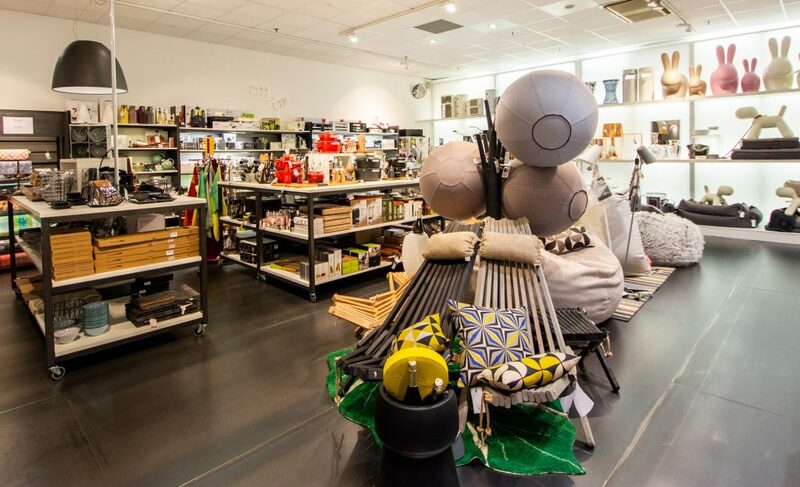 This themed concept store makes every effort to make your search easier. The store is organised into categories corresponding to the most common occasions for which you might need a gift. 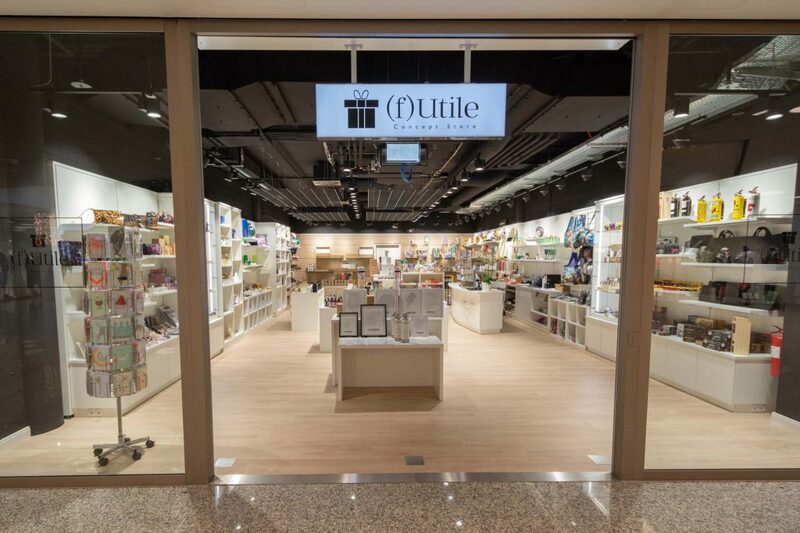 (f)Utile offers an assortment of items for each of life’s major events: decorations, stationery, books, beautiful objects, etc. All items are carefully selected from European suppliers, based on criteria of originality and quality. 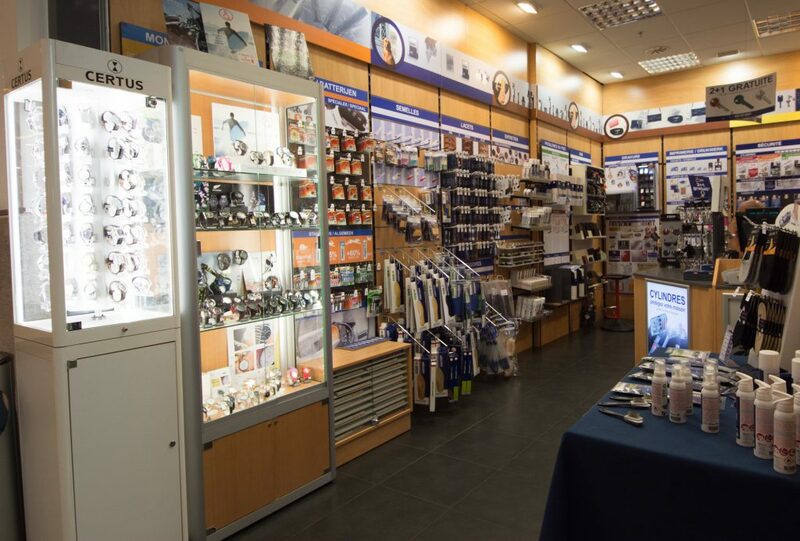 The selection also changes regularly, so as to offer you new products all the time and meet all your needs for gifts! ACUITIS To end the expensive and main stream glasses, Acuitis rivals of inventiveness. Frédéric Beausoleil, Eyewear Artist and Artistic Director of the brand, strives to perpetuate French know-how. Which combines elegance and very sweet price. Optical, sunglasses... At Acuitis, we find original and affordable frames. "Our ambition is to bring the most qualitative products at very low prices, without sacrificing quality. Bamboo, exotic woods, cotton blossom, buffalo horn: to create its elegant collections, it retains the most noble materials, while demanding low prices. Some of Acuitis exclusive creations are made in its French factory. Acuitis is also tailor-made. Multigenerational models that range from babies, kids (from one year old) with Little Acuitis, to hearing-glasses. A subtle blend of state-of-the-art technology and aesthetics, it guarantees absolute comfort and discretion. Even better: all the frames can be adapted to it! Proof that the Maison Acuitis’ philosophy is to be constantly innovating. 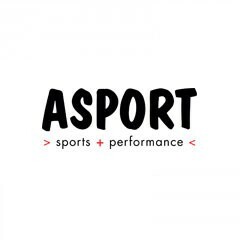 Since 1986, Asport presents modern and trendy collections in the field of running, football, basketball, fitness and sport in general. You can also enjoy professional advices in order to make the best shopping choices. 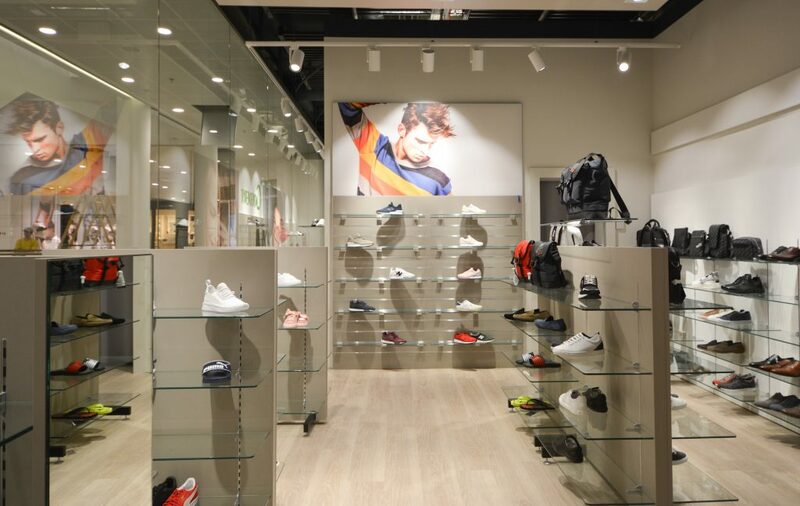 With 29 years of experience, Asport will please the more active guests as well as the dynamic and trendy fashion lovers in a friendly atmosphere where sport meets lifestyle. For young and old! In a welcoming and warm atmosphere, discover the items that will give you all the comfort that your feet require in a unique space dedicated to socks in your Shopping Center City Concorde. The shop Bas ô Bas offers: Goods for ladies: tights, tights support, fancy tights, leggings, stay-up, put-down-stockinets as well as shirts and bodysuits from the brand WOLFORD. Goods for men: socks, knee highs (of Contention), home-socks, socca, Arthur, shorts, Bruno Banani. A full range of children's socks. 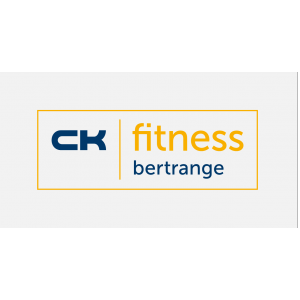 At Beffort Bandermann, you will find everything for your baby: car seats, strollers, bottles, clothing (from 0 to 12 years), toys, etc. 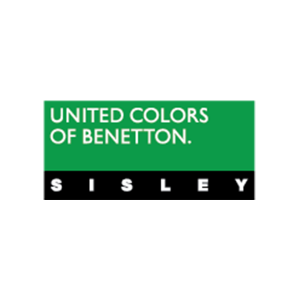 United Colors of Benetton is a worldly famous Italian brand known for its colourful lines, the quality of its confection and its modern but also classic style. The knitted sweaters for instance are part of the Benetton DNA. 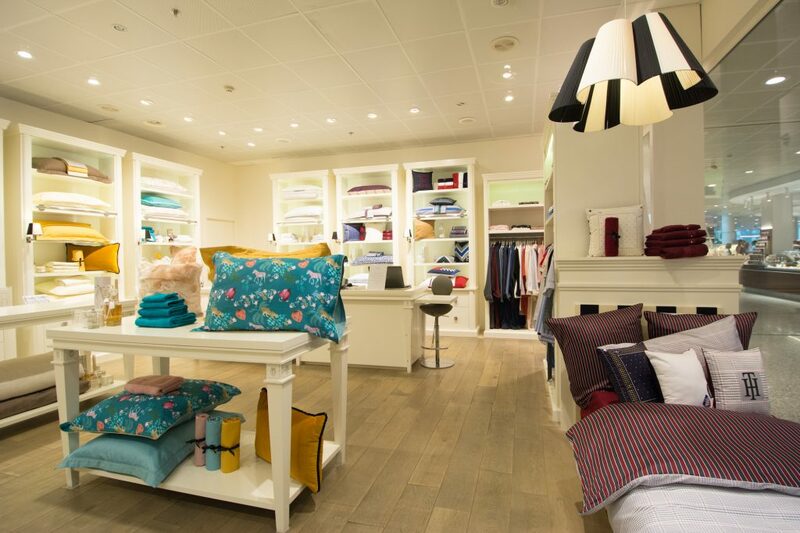 The store at City Concorde will gather the United Colors of Benetton collections for women, men and children. Besides clothing, you’ll find branded bags, belts, shoes, hats, scarves, beach accessories, children blankets, towels, and much more. Sisley has trendy and glamorous clothes for the modern woman and the modern man who know their style and what they're looking for. With these two brands the store has all the looks the heart desires and something for every taste. With its experience since 1967, Bigor Bijouterie is composed of a team of professionals who will advise and guide the customer in his choice. Bigor Bijouterie is the specialist in fashion jewellery and quality fashion watch for women, men and children and offers a wide choice among many major brands. In this space, 200 sqm. 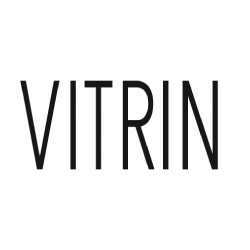 are entirely devoted to organic products, with over 1,000 items. 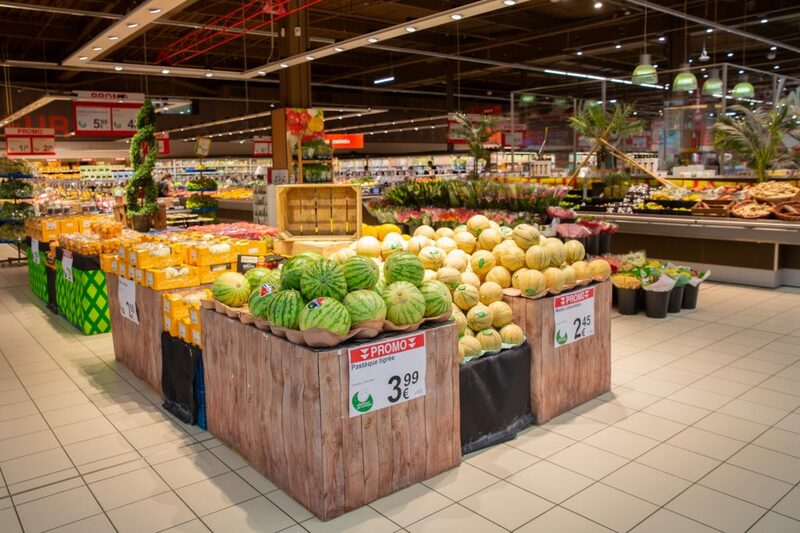 You will find fruit and vegetables, a cheese counter, sweet and savoury groceries, biscuits, coffee and tea. Several brands of cleaning products and cosmetics are also available. Cora also offers various organic breads which have been kneaded, shaped and cooked on-site and made from organic, white and special flours. You will also find: Over 500 gluten-free products available to meet dietary restrictions with a wide selection containing high-quality ingredients. Over 300 alternatives to traditional dairy products, including butter, fresh cream, and our wide range of vegetable-based drinks. Tofu, seitan, cold cuts, vegan dishes, and more. We offer vegan customers a full range of alternatives to animal protein products. It is easy to forget that good health sometimes simply requires finding a proper nutritional balance. For this reason, Cora has developed a full range of diet & dietary products that naturally meet your body’s needs. A range of varied and balanced products for your well-being. For the pleasure of family shopping Maison BRAM stretches over 11,000 sqm. 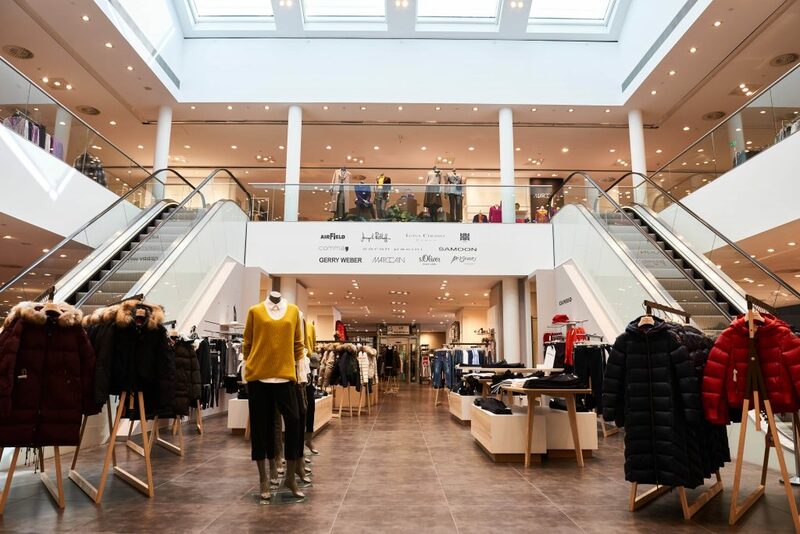 and packs new international brands, a creative space for children, women and men, and an area set aside for accessories, all under the same roof. 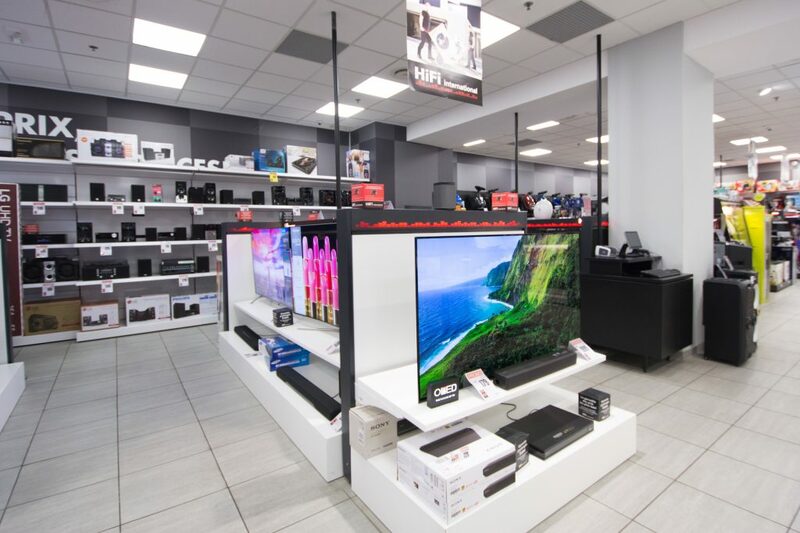 Our large store embodies modernity, with new departments helping make it easy to find your way around and offering a great choice of brands and styles to mix and match at will. 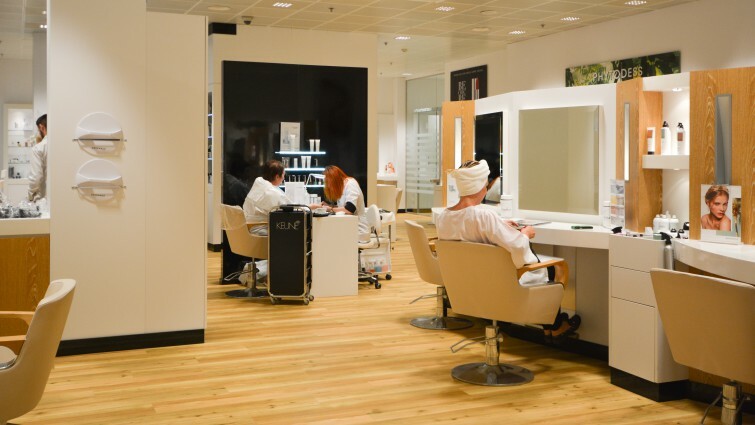 In our temple of fashion, a tribute to individuality, customers can also benefit from a multitude of health and beauty treatments. Caroline Biss offers the modern, self-confident woman elegant and classy women's fashions with glamorous style, perfectly fitting ready-to-wear collections that combine stylish simplicity, subtle colours and new materials – resulting in a contemporary yet timeless collection, comfortable designs for every day of the week, weekend sporting outfits with just that little bit more, fashion dresses for a night out and sparkling party wear. Founded in 1935, Chaussures Goedert is one of the oldest specialized shoe and leather goods houses in the Grand Duchy. 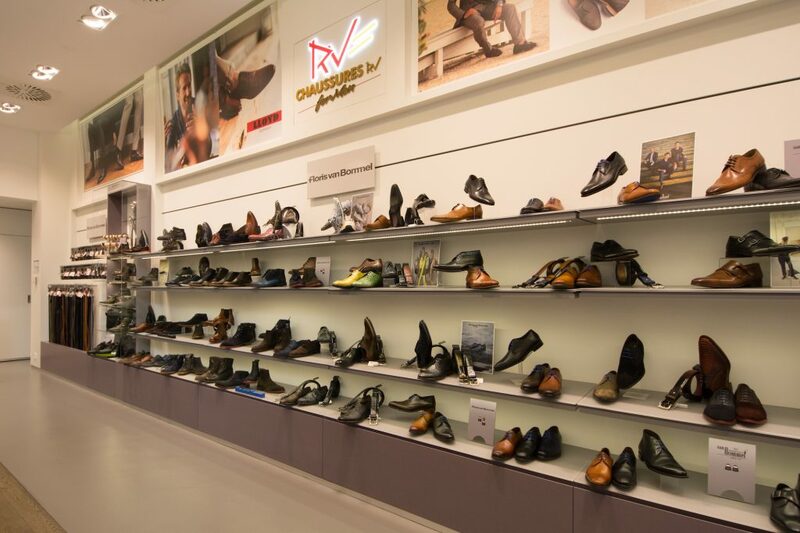 In the vast space, you will find a large selection of shoes for men, ladies and children, combining quality and fashion. 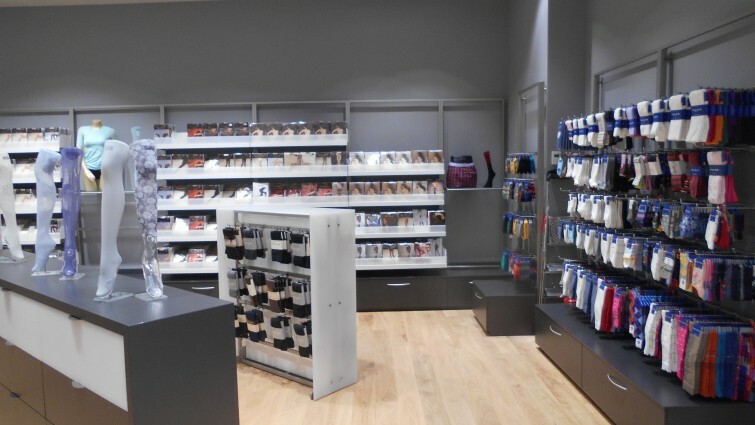 With the experience gained over the years, Chaussures Goedert ensures optimum service to its customers. Welcome to R.V. Chaussures Our shop is located in the mall of City Concorde. 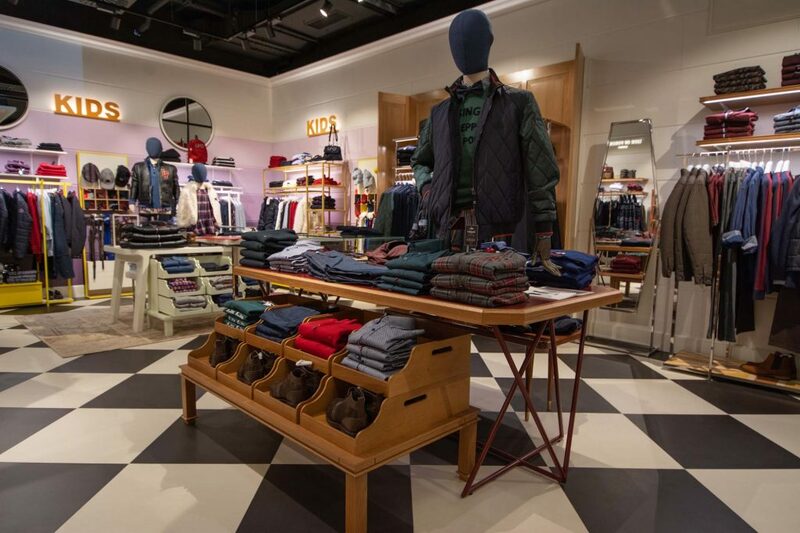 Recently renovated and relooked, it's now separate in two retail spaces where we are happy to welcome and serve you. "R.V. for Women" and "R.V. for Men ", 2 shops located next to each other. Through these two new stores, we want to make a difference by sharing our love and passion for shoes. Our motto: Fashion, choice, quality and especially the service. We invite you to come discover our collections in-store and on our website, and wish you a pleasant visit. Welcome to R.V. 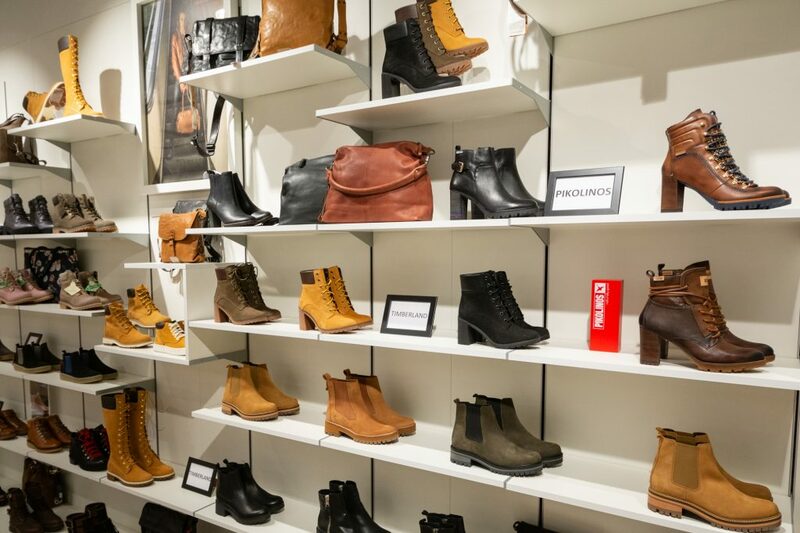 Chaussures Our shop is located in the mall of City Concorde. "R.V. for Women" and "R.V. for Men ", 2 shops located next to each other. Through these two stores, we want to make a difference by sharing our love and passion for shoes. Our motto: Fashion, choice, quality and especially the service. We invite you to come discover our collections in-store and on our website, and wish you a pleasant visit. We will welcome soon in a space of more than 850 sqm. totally renovated. We welcome you during the entire period of renovations. A breath of fresh air is blowing on our collections of shoes and bags. As of this autumn-winter of 2018, you will not believe your eyes; new, unexpected, exceptional, an incredible choice for you ladies. Only for shoes lovers. The Cocoon shop offers you: goods for men: pyjamas, nightgowns, bathrobes, jogging, shirts, briefs, boxers, shorts; goods for women: pyjamas, nightdresses, bathrobes, jogging, shirts, pants, body; and goods for children: pyjamas, nightgowns, bathrobe. 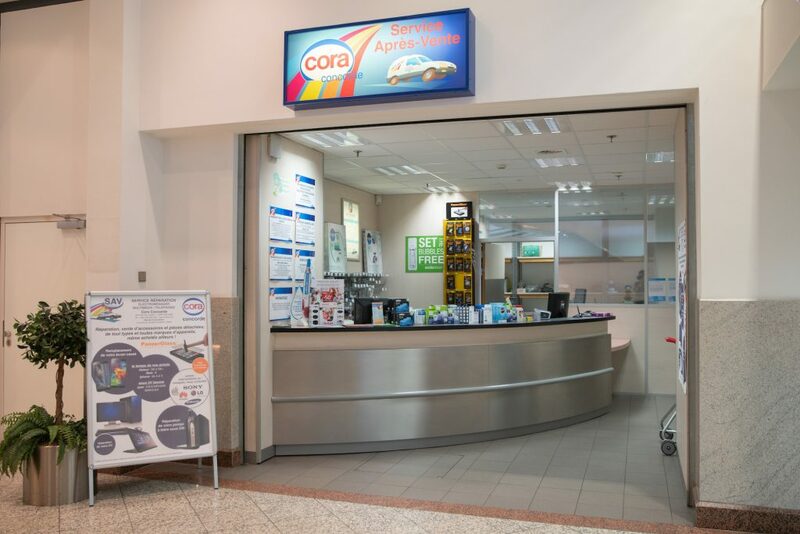 The cora customer service desk is available for all repairs to household appliances, TV sets, multimedia devices, and smartphones, whether they were purchased from cora or elsewhere. We replace your smartphone screen while you shop in our store (subject to availability of the specific model). We also assist you in drawing up the insurance documents. All our parts are guaranteed by the manufacturer. Our services are carried out by qualified professional technicians. We also provide all parts and consumables for properly maintaining your household appliances. Do not hesitate to ask us for advice. Leather goods - Luggage - Accessories A shop entirely dedicated to leather goods and luggages, Des Pieds à la tête, opened its doors to the City Concorde. The luggage storage is represented by the follwing brands: Tumi, Samsonite, Delsey and Little Marcel. The business by the brands: Piquadro, Tumi, The Tanner, Samsonite, Desley. Accessories by the brands: Moschino, Le Tanneur, Pierre Vaux and Longchamps. 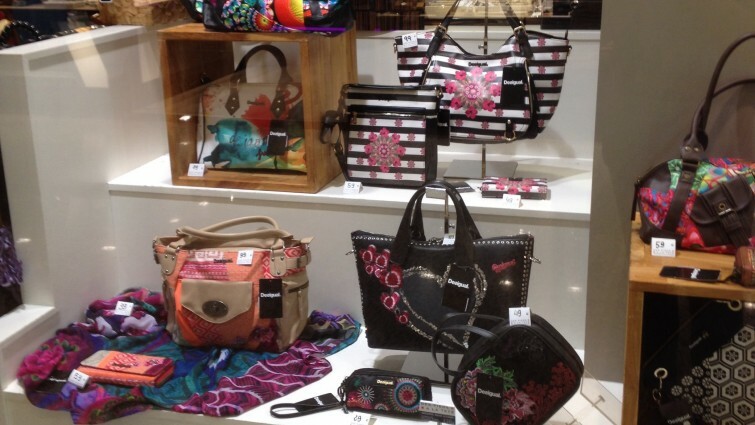 The bags brands: Le Tanneur, Bogner, Liebeskind, DKNY, Versace, Lupo, Picard, DPLT (DELL'GA) and Desigual. You will find all the accessories such as hats, scarves, scarves, gloves and umbrellas. The shop "Des pieds à la tête" is open from Monday to Thursday from 9 am to 8 pm, Friday until 9 pm and Saturday from 9 am to 7 pm. The whole team is awaiting you with great pleasure at City Concorde to discover this beautiful place to live! Today’ classic chic Since its establishment, Descamps has created home linen for a worldwide clientele drawing on a combination of savoir-faire and expertise. Signature of the art de vivre à la française, values of excellence, creative trends that span each generation. There’s great emphasis on the founding requirements, delicate materials, finely crafted finishings and sophisticated color palettes. Ernster “l'esprit livre” City Concorde is a place that exudes passion. Our dynamic and multilingual team will be delighted to welcome you to guide you and advise you among the wide selection of books dedicated to all audiences. Our literature section, youth books and comics as well as non-fiction, combined with an unusual stationery choice, create a universe you'll have trouble leaving. 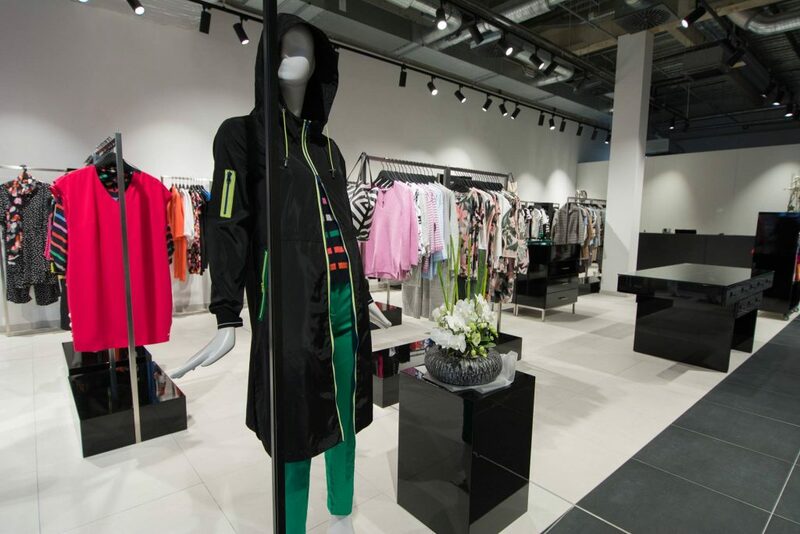 With over 10 years’ experience in the clothing industry in Belgium, Fashion Club is now opening a new store in Luxembourg, at the heart of City Concorde. 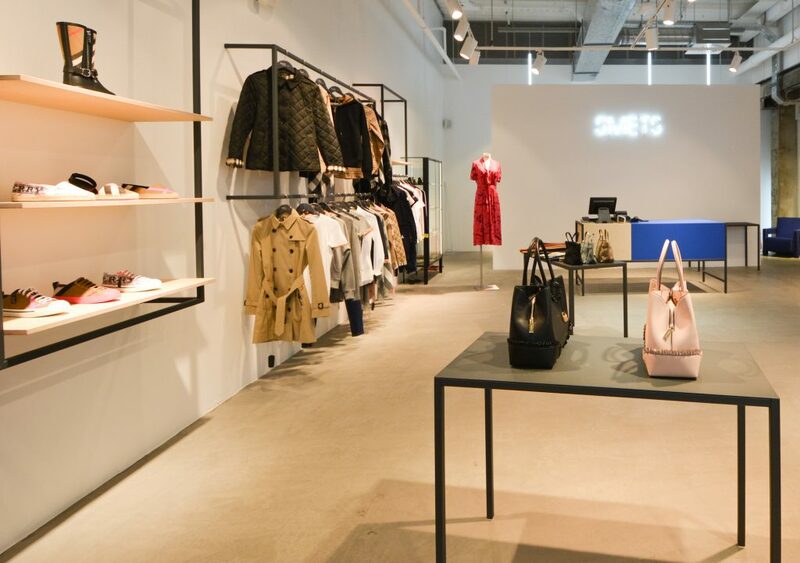 Covering a surface of 650 sqm., split equally between men’s and women’s fashion, this concept store contains a wide selection of prêt-à-porter clothing and accessories for women, and for men too. 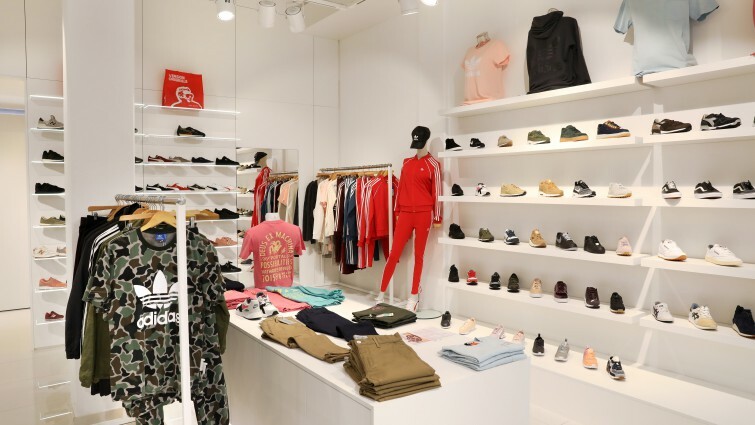 Constantly on the lookout for new items, as well as relevant and original collections, Fashion Club carries various European brands selected for the quality of their workmanship and their mid- to high-range positioning. They include Liu·Jo, Pinko, Karl Lagerfeld, Mason’s, Eleventy and many, many more. All styles, from classics to more elaborate creations, from casual wear to elegant evening wear, are at your fingertips. 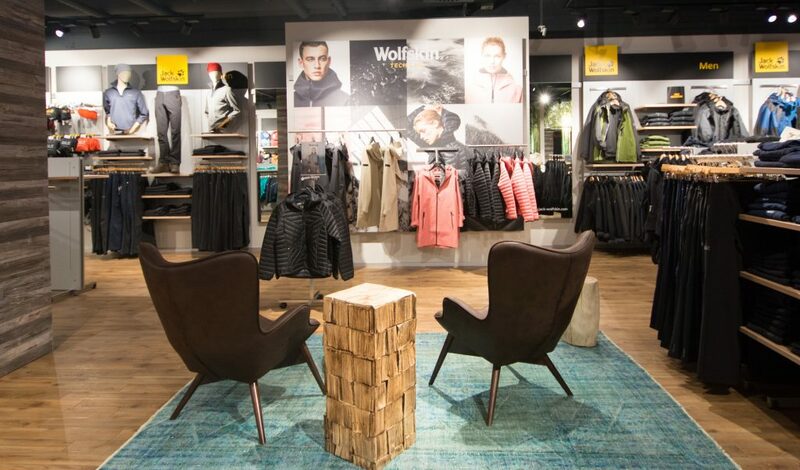 In its store, Fashion Club uses combinations of natural materials to create a warm and welcoming atmosphere. Shopping starts to resemble a leisurely walk. 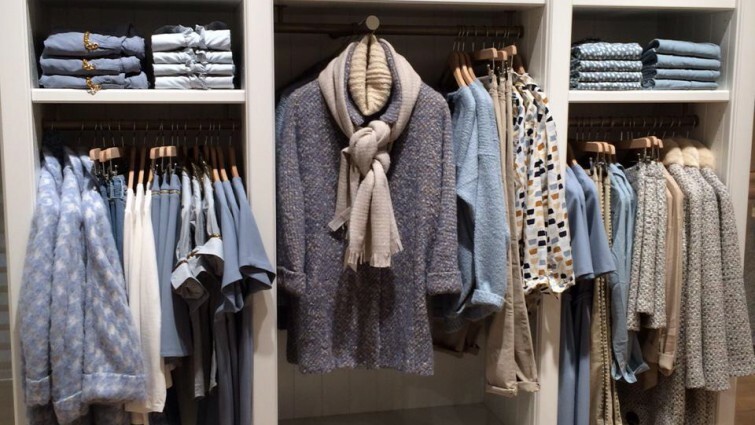 The dressing rooms are designed to be cosy, to make shopper feel at home. Among the racks of clothes, you will also find decorative items for the home: armchairs, side tables, rugs, and more. 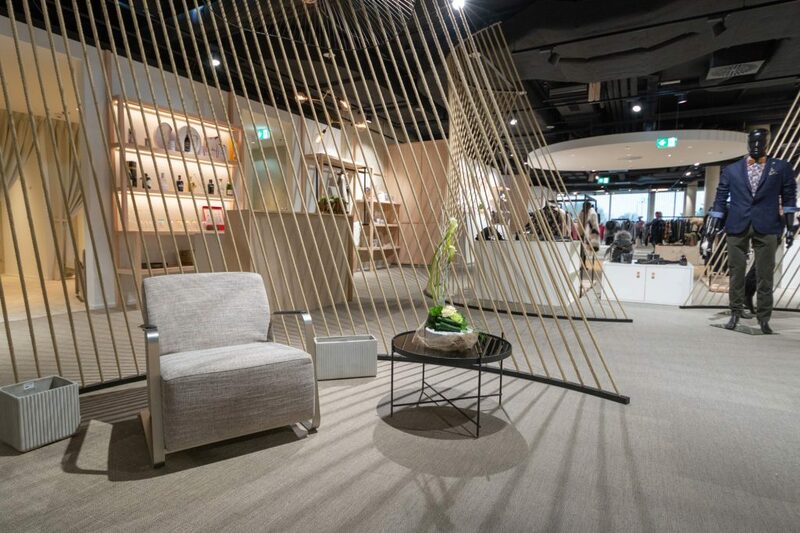 Feeling Lingerie dedicates its 250 sqm. to underwear and nightwear for Lady and Man. 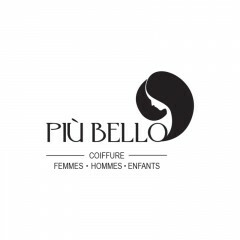 Our sales team composed of professional advisors will offer you the best of French and Italian brands. 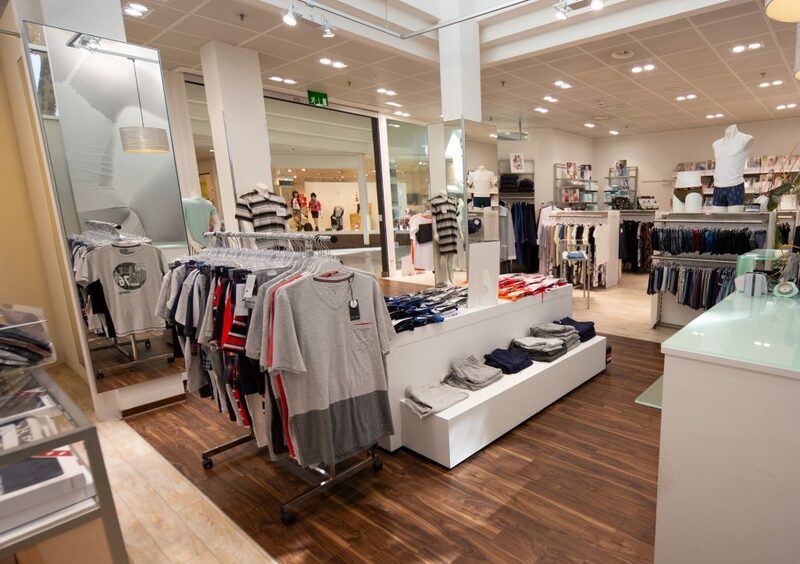 In summer, we develop a resort and accessories department offers the largest selection in Luxembourg. 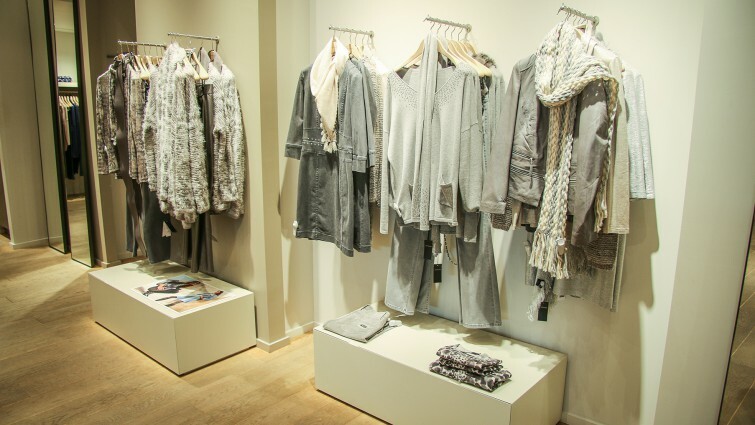 During the winter season, we put the spotlight on "wellness" at home with our varied ranges in nightwear, homewear, loungewear. Our friendly team is listening to customers to identify which is best for them. Fleurs Kill, guaranteeing quality and exclusivity Fleurs Kill, supplier of the Court, was established in 1894 and has been part of the City Concorde since 2009. Come visit us or order our exclusive creations by telephone/fax, as gifts or for your own enjoyment. Our team will assist and advise you for all your occasions; with the option of home delivery. - Weddings (wedding bouquets, church and car decorations, buttonholes etc.) Baptisms (table decorations, etc.) Communions (table decorations, church decorations, floral headpieces etc.) Funerals (floral sprays, hearts, crowns, bouquets etc.) 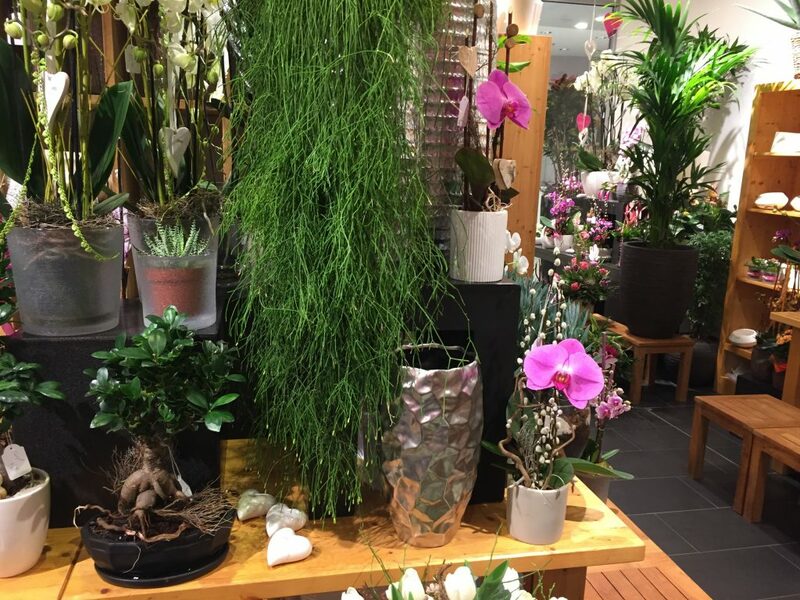 In our stores, you will also find indoor and outdoor plants (for garden and balcony), a wide choice of exclusive bouquets, floral arrangements to cater for every taste, as well as earthenware, glassware, pot holders, a variety of decoration items and a large selection of top of the range candles. 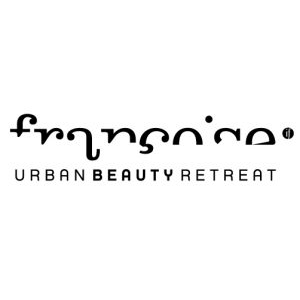 With over 45 years of experience in the fields of esthetics, Françoise Clément, founder of Institut Françoise which settled in the City Concorde in 1996, and her team of professionals will spoil you in a brand-new beauty centre in the new extension of the Lifestyle Center. This 500 sqm. space called “Urban Beauty Retreat” focuses on well-being and relaxation in a modern, but comfy and cosy atmosphere. 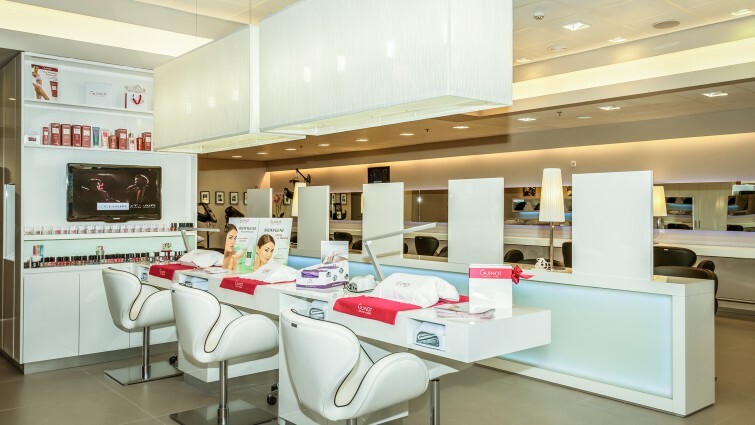 A make-up and nail bar are new addition to the salon that will enhance your beauty treatments while the usual cares are still available (facial and body care, high tech well-ageing care, laser hair removal, massage…). 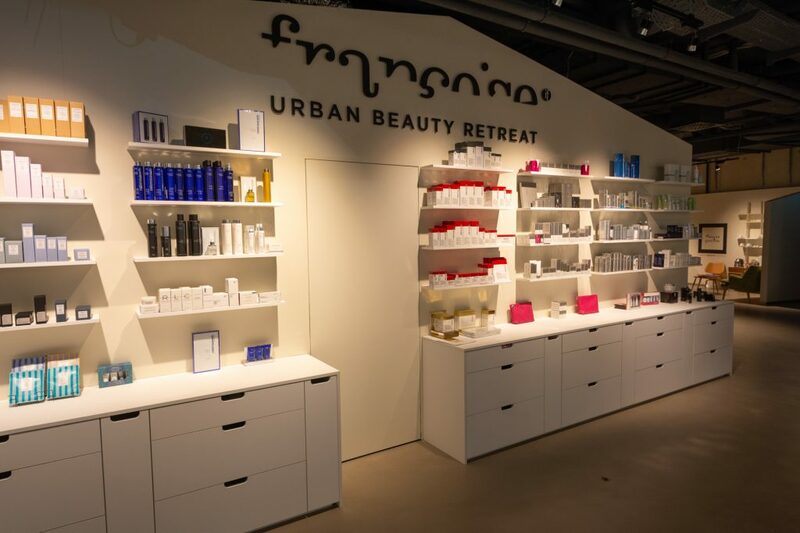 For a unique experience, Urban Beauty Retreat is divided in two exclusive areas: one for cosmeceuticals and one for perfumery and olfactory discoveries. We also serve gentlemen: Urban Beauty Retreat is also a privileged place for men where they can get facial and body treatments, laser hair removal, massage, pedicures and a beard trimming. 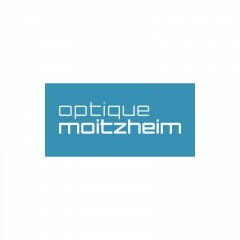 Specialist TV, hi-fi, photo, telecom, multimedia appliances in Luxembourg. Every woman is different. There exist no two bodies that are exactly the same; so many forms, such variety of curves make the choice of lingerie such a personal and important one. 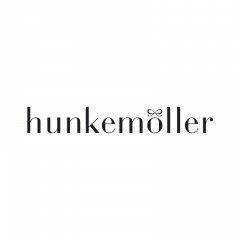 Hunkemöller offers lingerie fitted not only to every woman but also to every moment, every mood. Hunkemöller present exclusive creations that perfectly meet all your desires. For example, our bras come in sizes A to G. Our basic collection is available all year round in our stores. In addition, every month, we bring out a new modern collection in the latest fashion colours and tones. Don’t hesitate to walk through the doors of our Hunkemöller boutique. ICI PARIS XL is your partner in terms of fragrance, skincare and make-up. 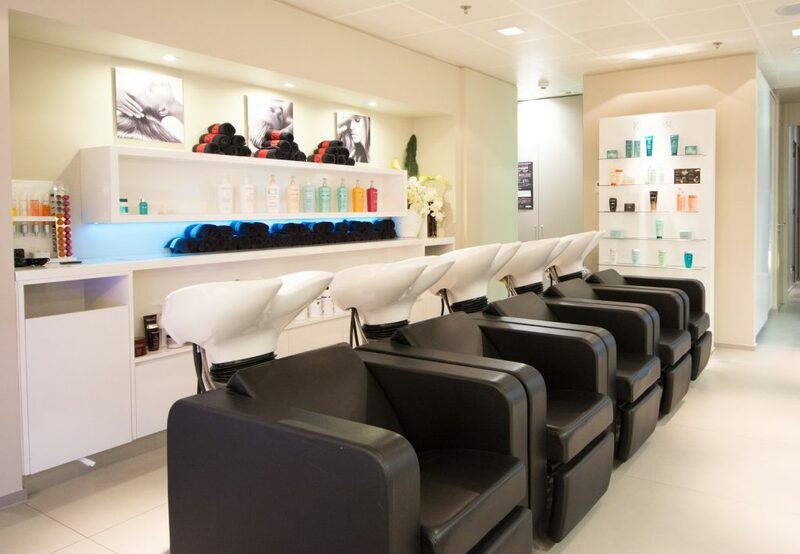 ICI PARIS XL’s beauty experts are always at your disposal for personalized advice and to share their tips and tricks. 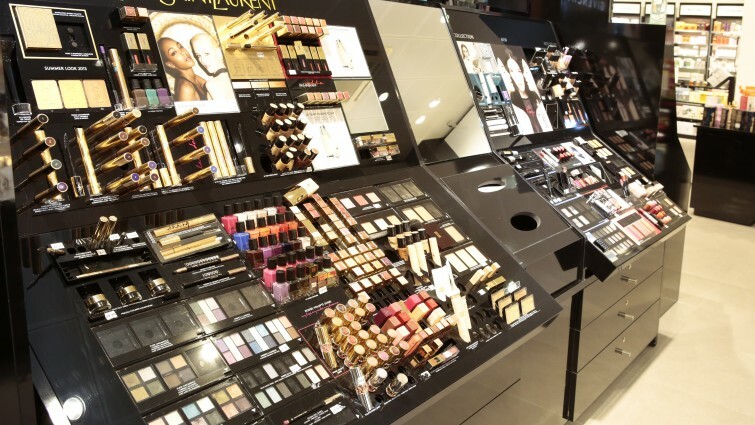 Did you know that our range contains more than 13 000 beauty products? 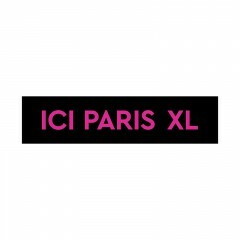 ICI PARIS XL is the Belgian specialist in beauty and we are proud of it! 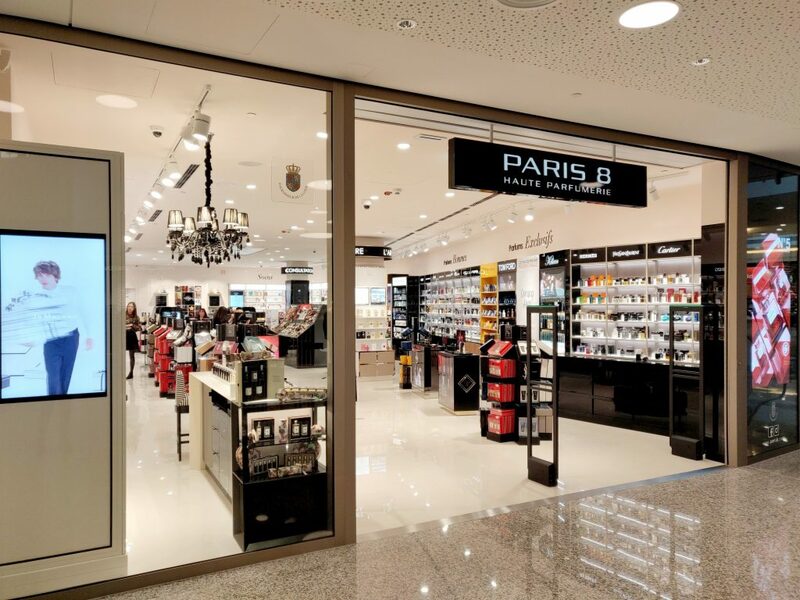 ICI PARIS XL counts nearly 300 shops in four countries: more than 120 perfumeries in Belgium and Luxembourg and more than 150 in the Netherlands, not to mention Germany. 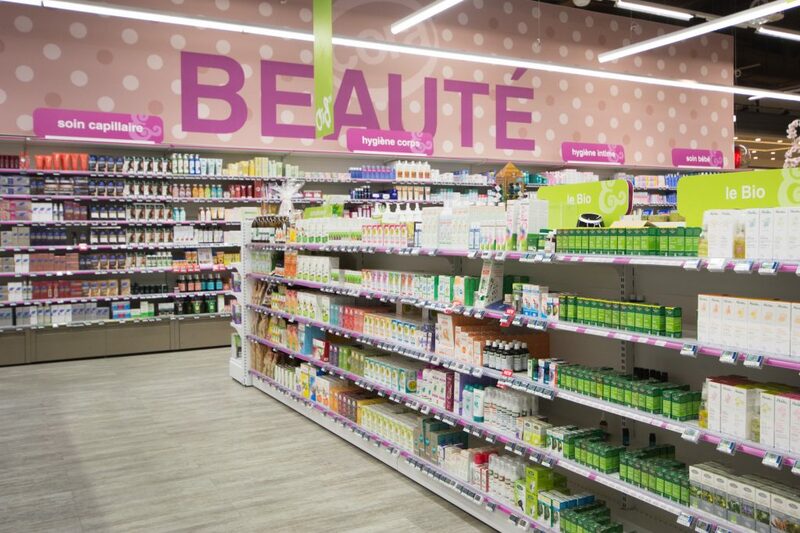 And since 2002, ICI PARIS XL is part of the A.S. WATSON group, which currently is the largest “Health & Beauty Retailer” in the world with no less than 13,700 stores. 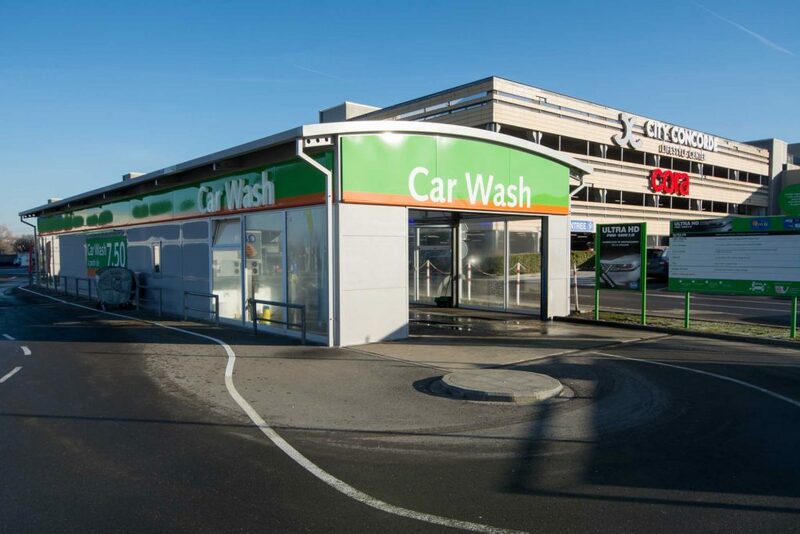 You will find in the City Concorde the most modern car wash of the Grand Duchy. The latest technics are used to provide you the best washing while respecting the environment. 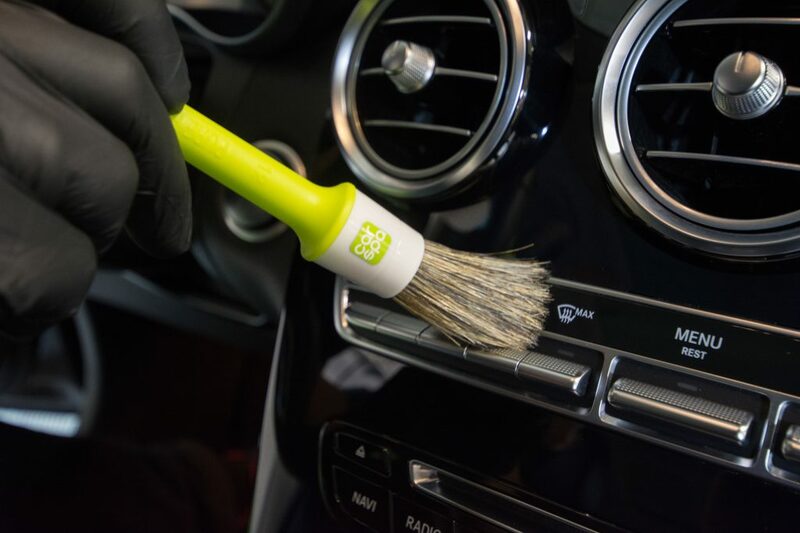 - Scratch-foam brushes like 'American system' - Water treatment system by Ozone - Biodegradable Shampoo - Wash program 'summer wash' with wax-shining 'nano technology' and anti-UV protection. - Recycling wastewater. Water consumption reduced by 80%. - Broad chains for sports cars and 4x4. The car wash can accommodate up to one car per minute and thus eliminate any waiting time. 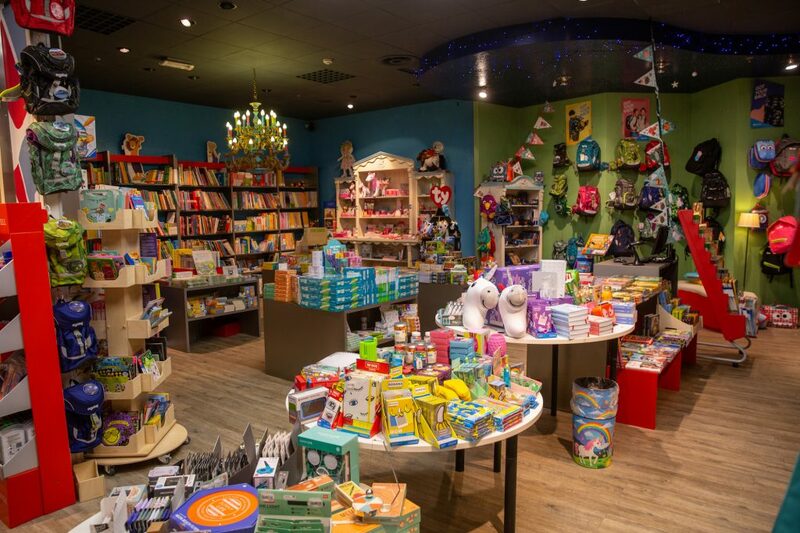 In a welcoming, warm and cosy atmosphere, Infantis offers a varied range of classic clothing for children. 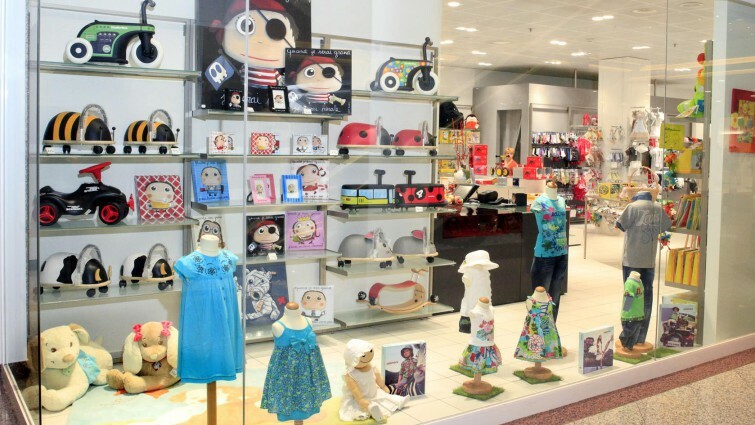 The collections include clothing for children from ages 0 to 12, for everyday life and special occasions. Infantis also carries a collection of eco-friendly clothing that respects your child’s skin and the environment. We welcome you in a pleasant location combining the warmth of wood and a pure white decor. Kenza Lauro has been a children and young people’s shoe specialist in Luxembourg since 1989. In a specially made and comfortable space, an experienced team takes pleasure in advising you so that all the little feet are well shod and able to grow safely. Come and discover our unique range comprising the best brands of children’s shoes. We offer quality toys that will accompany children during many years. Classics from famous brands and toys discovered from around the world for their originality. It is with passion that we test and select the games to be able to provide the best advice, enriching our experience through customer reviews and opinions gathered every day. 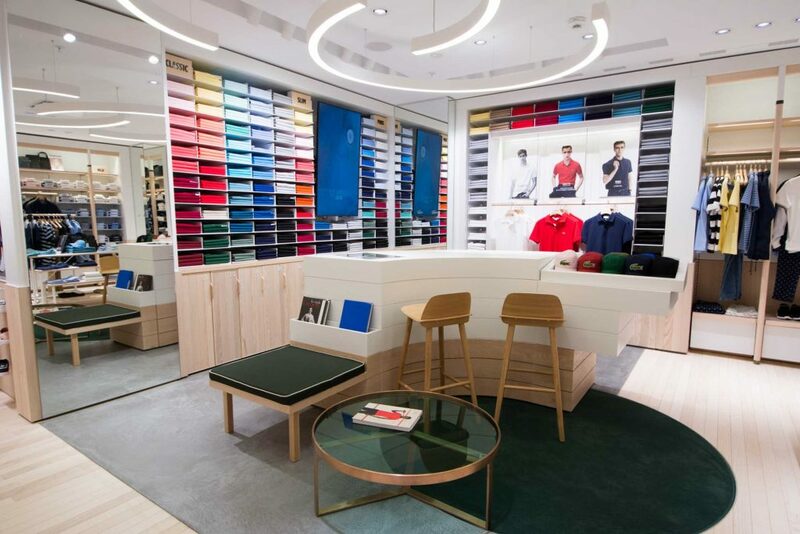 The Lacoste Boutique is located at the City Concorde since 2008. The Lacoste style is elegance inspired by sports. The men, women and children collections are chosen with clothing articles which can be worn on the court or in the streets are that have been inspired by sports for a modern look. 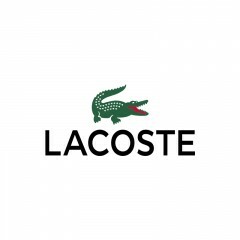 Lacoste innovates for style and freedom of movements. The store was renovated in the summer and the whole team is proud to welcome you in our new “concept club”, a remembrance of the brand’s initial thought: tennis clothes combining retro and contemporary styles and not to forget, THE iconic piece: THE POLO! 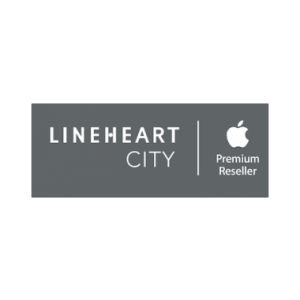 For Lineheart City "Apple Premium Reseller", Apple's brand is a passion and tradition. 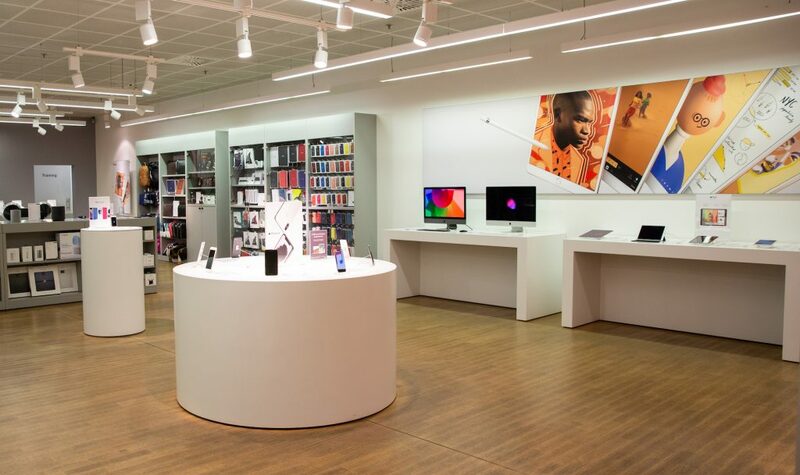 In our shop, we show you the full range which includes the famous products iPhone, iPad, MacBook and iMac, as well as a wide selection of accessories all name-brand known for their quality and design. It will be a pleasure for us to provide you expert advices, a technical service through our Apple Authorized Service Centre, as well as training and assistance "Tune & Train" customised to your needs. Lion of Porches is a clothing brand for men, women and children, inspired by British style and culture. 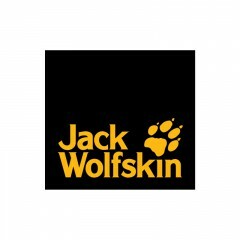 A brand with a European heritage of unique identity, which has been strengthening its presence and currently has a physical presence in countries such as the United Kingdom, Spain, Portugal, Switzerland, Malta, Saudi Arabia, Iran, Russia, South Africa, Angola and Mozambique and and an online store in about one hundred countries. Characterized by a stylish and modern style, the brand is distinguished by the explosion of colors, exquisite patterns, emblems with embroidered collegiate and each piece presents an excellent finish, rich in details. In each season the brand presents pieces with diverse fittings and cuts, new textures and patterns that surprise. Creativity is an attribute of the brand, which is accompanied by new trends. The raw materials are carefully selected, which contributes to perform a premium quality level. Lion of Porches offers a sophisticated casual wear with a preppy twist, contributing to an exquisite, differentiating and contemporary look. An exclusive lifestyle. 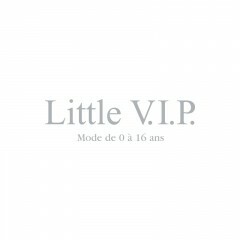 Loving detail and refinement, LITTLE VIP excellent children’s boutique offers the latest, chic fashion, with an astonishing choice for new-born babies to teenagers. 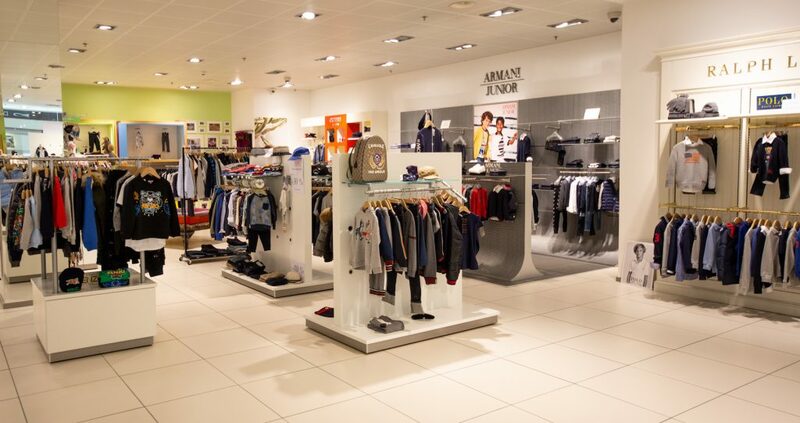 For everyday wear or for special occasions, you can find prestigious junior fashion brands presented in a new concept. Throughout the year, we select the must have pieces from the biggest brands: GUCCI, ARMANI, PAUL SMITH, KENZO, RALPH LAUREN, MONCLER, MONNALISA .., to name a few. 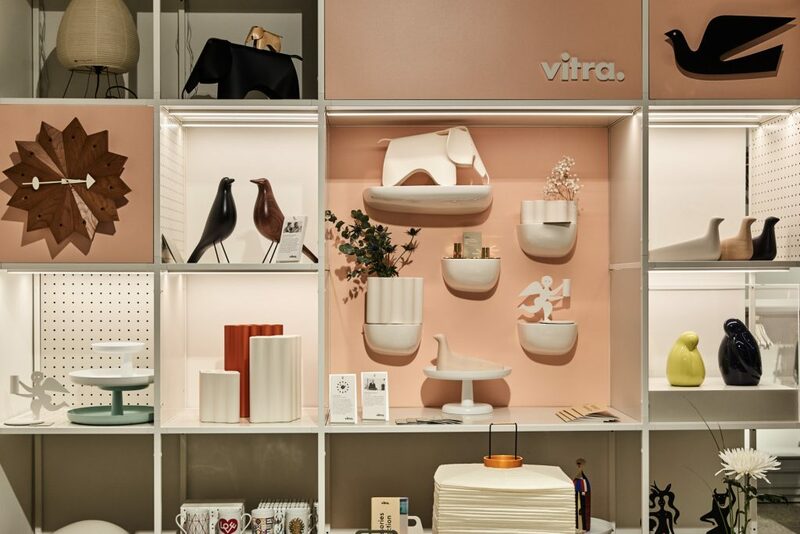 For babies, LITTLE VIP has exclusive rights on brands like FIRST, with their beautiful prams and strollers, and TEOPHILE & PATACHOU, for furniture and design accessories. 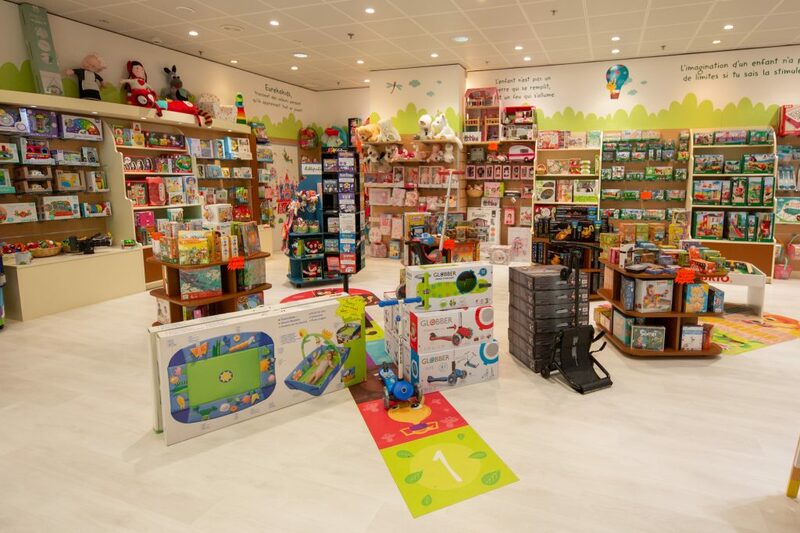 In our dedicated babies’ space you will find, layettes in pastel or vibrant colours, changing bags, baby sleeping bags, soft plush toy animals, and much more - everything you need for your baby’s start in life - in a tender bubble. 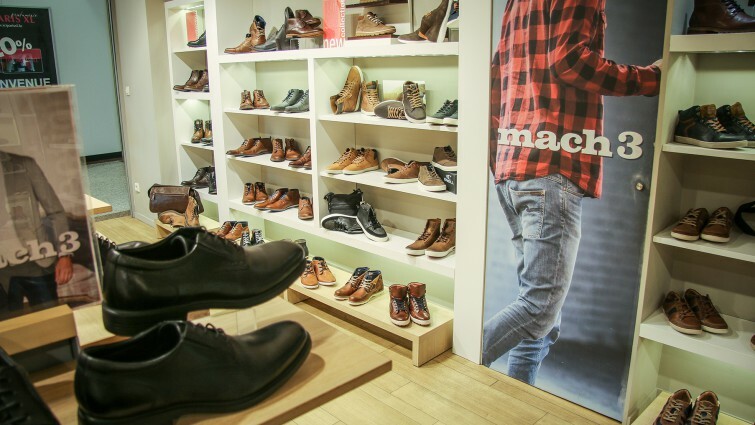 MACH3 provides shoes for the whole family, from the youngest to the oldest. 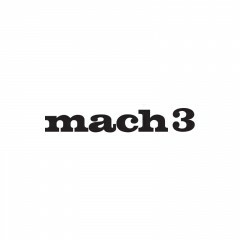 The MACH3 woman is plural, she is dainty and bohemian, classic and elegant, active and vibrant... The MACH3 man is mixed, he is sporty and energetic, fresh and modern, singular and enterprising... And the little ones follow the example of their elders when it comes to trends, by coping their designs! 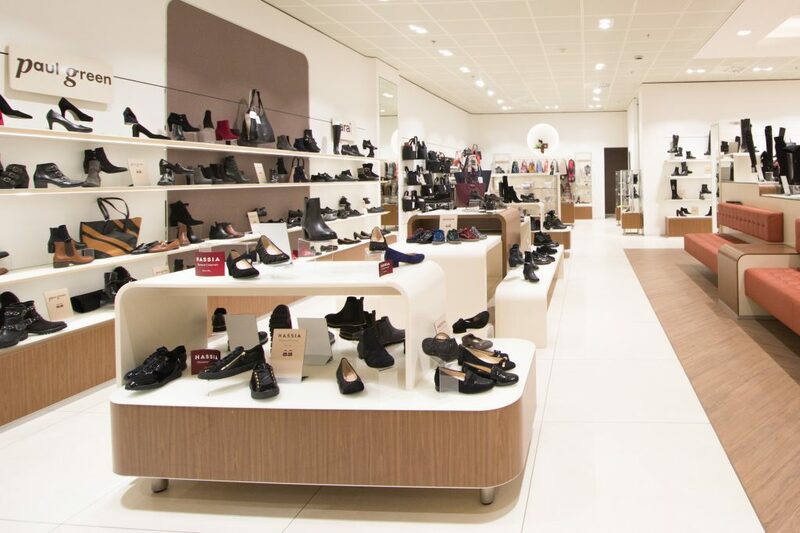 Ms. Facci and her team, professional in footwear, will advise you to find the ideal shoes for all occasions. MANO provides shoes for women and men of all generations for every moment of the day or evening. With MANO, each client stays faithful to his own style and can reinterpret fashion according to his personality and desires. The experienced team of Ms. Raposo will be delighted to welcome you and advise you to find the perfect pair of shoes. Already settled at the City Concorde, Mano is expanding at the heart of the Lifestyle Center’s new extension with Mano Concept Store. 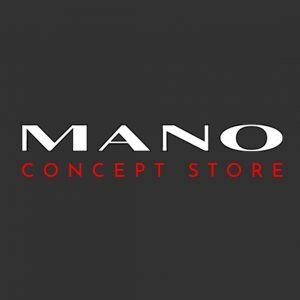 Mano Concept Store is a store for a trendy clientele which is always seeking new trends and high quality brands. Live within its 100 sqm. and cosy atmosphere a unique shopping experience in the group’s only concept store until today. The store provides shoes for women and men from every generation and for every moment of life. 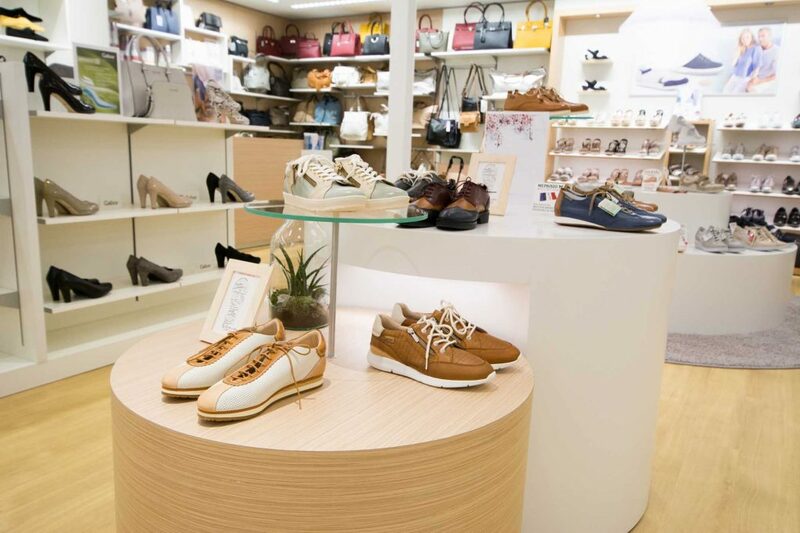 With Mano Concept Store, you’ll find every pair of shoes your heart desires depending on your tastes and style. 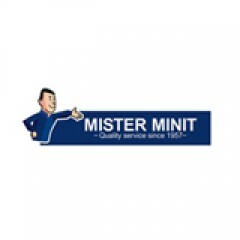 At Mister MINIT we are committed to offer a quality service and specific solutions for your daily needs. You have come to the right place at Mister MINIT for : shoe repair, key duplication, car plates,engraved plates, print and stamps, a new battery or bracelet for your watch, smartphone repair, ink cartridges for your printer etc. Furthermore Mister MINIT offers you a wide range of products : shoe care products, batteries, watches, small leather goods, umbrellas, locks, original gift ideas, smartphone repair. Located on the floor -1 next to the restaurant AM BESCH, the beauty institute Nails & Estetica offers a complete range of care for the well-being of women and men. Nail gel, body care, face care, massages, slimming spa, hair removal, permanent hair removal, medical pedicures, dyeing / extension of eyelashes, pulsed light treatments... from the most common products to the most special, from recognized brands such as: Guinot, Carita, Technispa, Dare Eyelashes or Pronails. 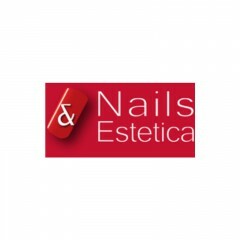 Nails & Estetica also offers you a whole collection of natural soaps and bath balls all handmade. A team of experienced beauticians is at your service to provide you with the best care and personalized advice. 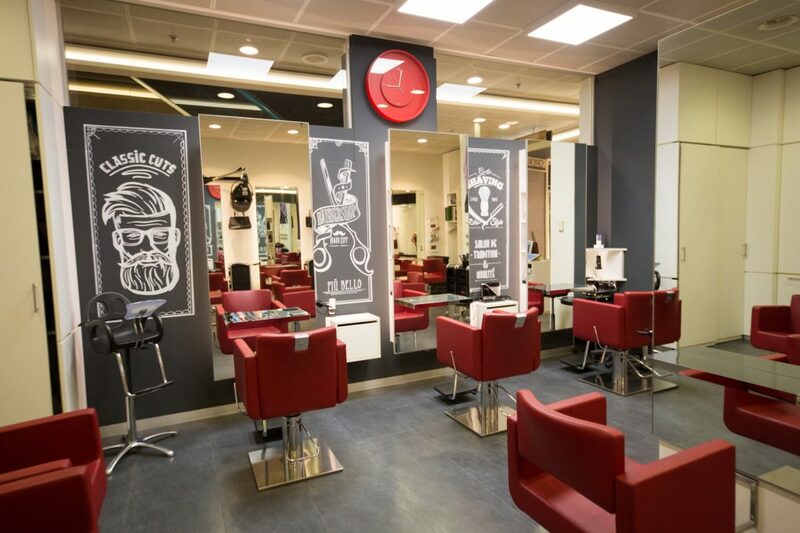 Do not hesitate to ask for more information at the store or to make an appointment at 26 44 04 37. O Bag is a unique concept of personalised bags. All you have to do is chose a model, a colour and the handle or shoulder strap of your choice as well as the inside pocket and you’re done! Many collections are created to adapt to every trend and style. There are big and small bags, bags for a stroll in the city or a day at the beach, or even bags inspired by the 50s. All the bags which are created and produced in Italy, have vibrant colours for dynamic and stylish look. 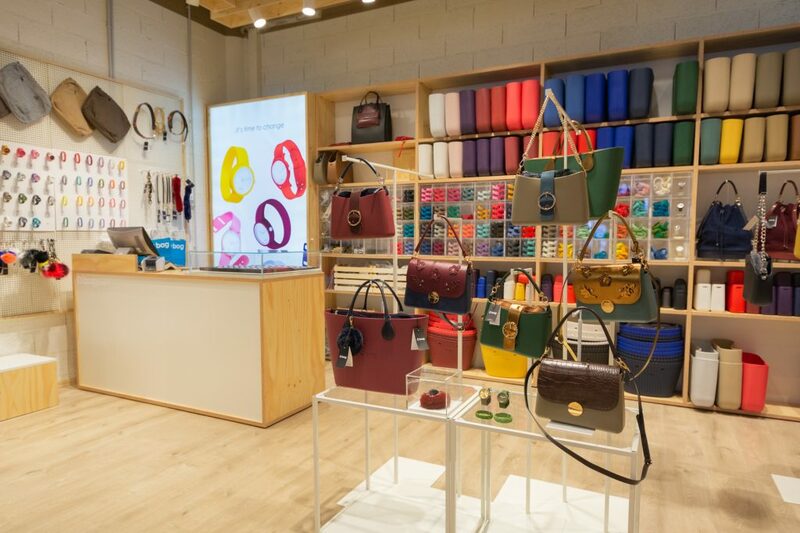 But O’bag has much more than just bags: in our store, you’ll also find watches, bracelets, sunglasses, beach or homewear, all customizable. Developing chemical process of all films, digital prints and reproductions. Biometric passport photos, ID and visa for all countries. 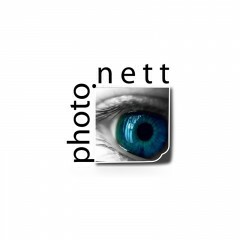 Photographer communion, wedding, portrait, reportage and event. All pictures work: canvas, greeting cards, enlargement, restoration, album book, 3D engraving on glass. cube, custom framing ... Albums, frames and accessories. Customizing gifts with favorite photos on mug, calendar, shell smartphone, puzzle, mouse pads, pillows ... Card shop. You will find a neat and professional service in a great atmosphere, directed and supervised by his two bosses and friendly and qualified staff. Our facilities are suitable for disabled people. Sale you find products "L'ORÉAL" and "KÉRASTASE". It works with and without appointment. Ask about our special promotions on Facebook For the ladies: The new top-cuts, dyes and collections. highlights... very neat, at prices outside competition. Our work chignons, evening hairstyles and / or for your wedding Our "MENU" are advantageous formulas for dyes and perms. 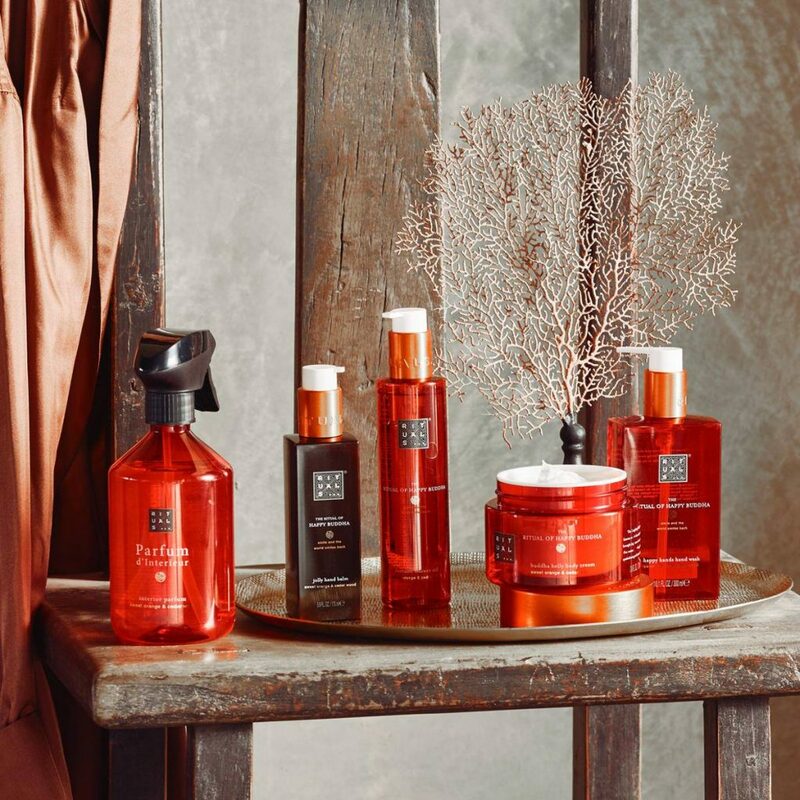 Baths and treatments "KÉRASTASE" tailored to the needs of your hair. For the men: Modern cuts, classic cuts and brushes. The razor cut ..... you discover the art and the fineness of the cut man. The size of the beard and the perfect shave Relax for a moment and ask for a scalp massage. Do not forget dyes, perms and hair. Special rates for youth and students. You can also make an appointment online. 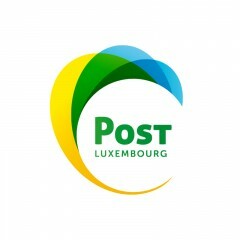 POST Luxembourg welcomes you from Monday to Saturday and presents its telecom, mail and finance services. Telecom POST Telecom provides a wide range of latest mobile devices cries smartphones, laptops and tablets and mobile offerings tailored to your needs. Come and choose accessory and more for you from the wide range offered. You will also find a complete offer for your needs in fixed telephony, Internet and TV. With LuxFibre, access the ultra high-speed internet. Also enjoy PostTV and its many advantages: a large selection of channels, over 4,500 VOD, innovative features, applications, radio channels and much more! Mail POST Mail offers products and services for the delivery of your mail and parcels. Thus, you will find new packaging and PostPack Ready2Post, stamps and other services. The new range Ready2Post already prepaid for your shipments in Luxembourg and to Europe. With PostPack give style to your shipments by choosing the packaging model that best suits your needs. Shipping is based on three criteria: weight, size, destination. Other services such as sending a registered, withdrawal and deposit of a package tracking etc. are also available. Finance POST Finance offers you the ability to perform certain financial transactions such as depositing and withdrawing money on a CCP, transfers, ... Feel free to visit us in our outlet. Find all the information of our products and services on our website www.post.lu Opening hours Post Telecom, Mail*, Finance *: Monday-Thursday: 9:00 a.m.-8:00 p.m. Friday: 9:00a.m.-9:00 p.m. Saturday: 9:00 a.m.-7:00 p.m. *Service until 7:00 p.m. from Monday to Saturday. The new Press & Books store is completely reconfigured to offer its clients a better comfort. 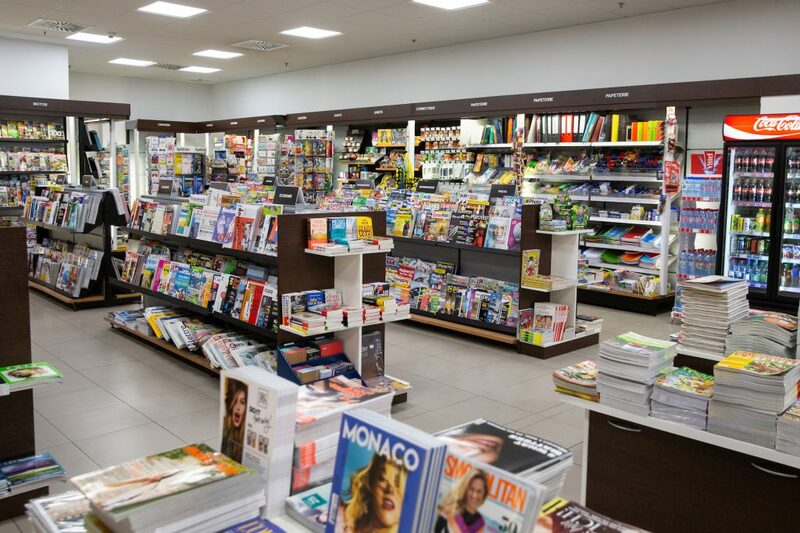 Valora's Press & Books concept, already in place at Zurich and Luxembourg airport allows a better highlight of the products thanks to the modern furniture and a simple and attractive shelving. City Concorde Press & Books offers a large selection of books and press titles in many languages (German, French, English, Luxemburgish and Portuguese), but also drinks, snacks, tobacco, stationery, phone accessories, lottery products, souvenirs, phone top-up cards as well as iTunes gift cards. 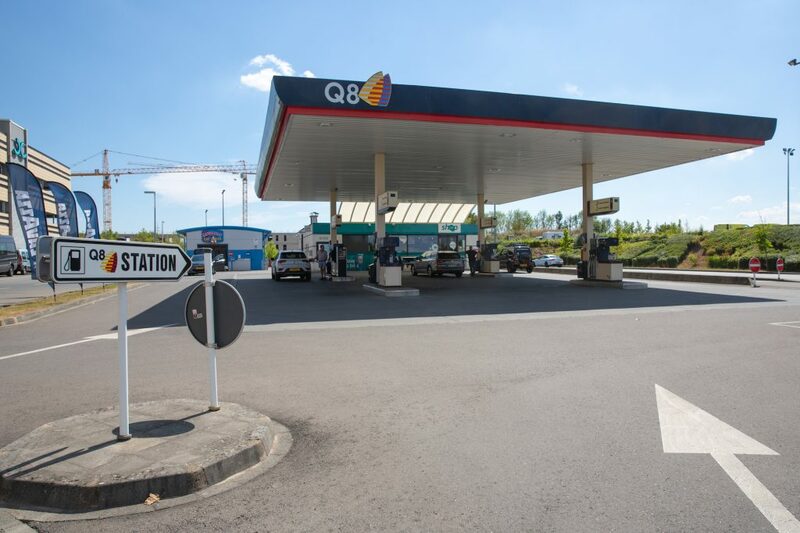 Q8 gas station and shop. Opening hours: 7.00 a.m.-8.15 p.m., Friday 7.00 a.m.-9.15 p.m. 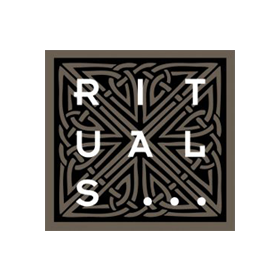 In February 2019, Rituals has finally settled in the heart of the new Lifestyle Center. Established in 2000 with the conviction that our daily routines can become more significant moments in life, the brand proposes a range of refined but affordable products for the body and the house in general: body, hair and hand care, bath and shower products, make-up, home fragrances, tees, decorations… Inspired by the ancient Asian wisdom and traditions, the Rituals collections will allow you to slow things down, live in the moment and feel happiness at all times. River Woods stands for authentic family lifestyle fashion. 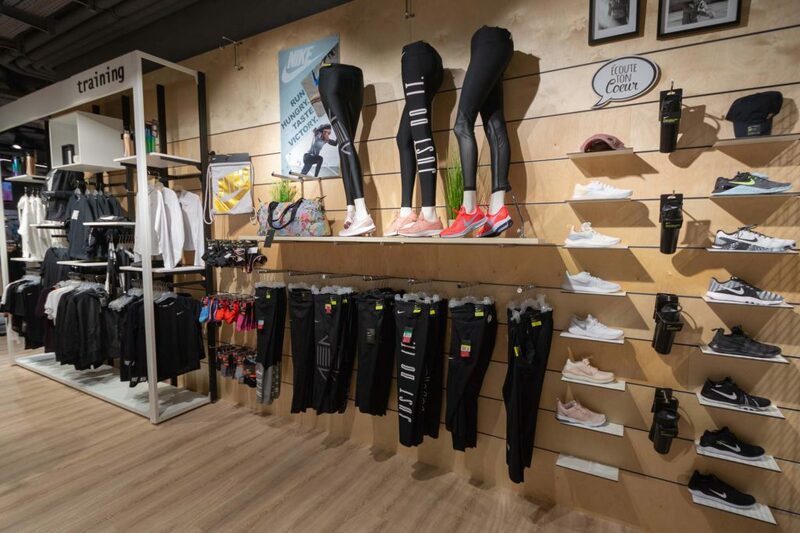 Its brand and design values embrace sheer joy of living, solidarity, family and friendship values reflected in high quality sportswear, casual and city chic clothing for the whole family. 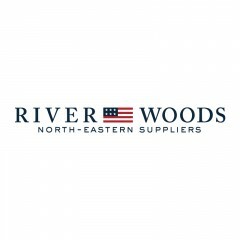 River Woods’ collections range from babies and kids to ladies and menswear and shoes. Sneakers! Who doesn’t love sneakers? We certainly do! 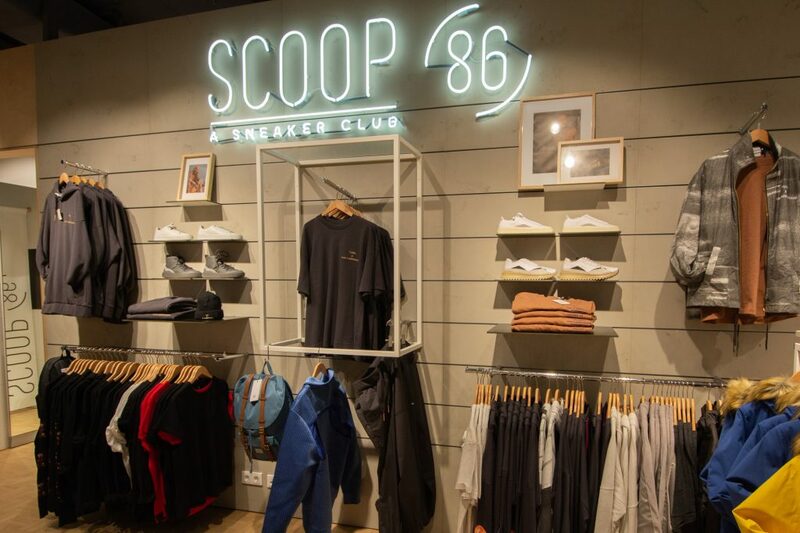 It’s our passion for sneakers and fashion that led us to opening Scoop 86 – a unique sneakers and lifestyle store in Luxembourg. Any outfit can be made better or more interesting with the right sneaker. And this is exactly where we come in. The Scoop 86 team will go to great lengths to find you that perfect sneaker for your unique style. Find all the biggest brands such as Nike, Adidas, Asics, New Balance, Saucony or Puma but also do not hesitate to ask us about our special gems or brand recommendations if you’re looking for the more exclusive styles. SOLAR - a brand created with passion SOLAR is a Polish premium fashion brand founded in 1989. 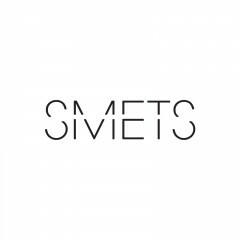 On the market, the company is known primarily as a leader and manufacturer of knitwear, characterized by original designs, high-quality materials and a perfect finish. The essence of the brand's success is combining global trends with the expectations of the clients. The results of these activities are original collections of an urban, yet elegant character, supplemented by a wide range of accessories. SOLAR is a brand that interprets the classic style in an original way and adapts it to the needs of modern, active and self-confident women. Every year SOLAR prepares few casual, business and chic collections, including elegant women's clothing and accessories. It is a combination of classics in calm colors with fabrics in bold colors, bold cuts and avant-garde applications. The timeless elegance is intertwined here with freedom and naturalness, and the latest trends harmonize with the original ideas of the creators. Women choosing SOLAR love fashion, but they are not its slaves, they want to feel feminine and elegant, and at the same time comfortable. SOLAR is chic, feminine and energetic. 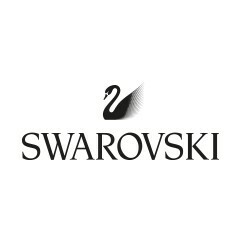 The crystal of Swarovski is the essence of an exceptional present. Naturally brilliant, necklaces, bracelets and earrings in the silvery tones knew how to stand out successfully. Pleasant to the eye, rings cocktail impress by the know-how having allowed their conception. Jewel Swarovski really feeds the creative expression of oneself. Timeless rooms going to the everyday life in the glamorous, trendy and audacious jewellery via evening bags. Floor -1 in the shopping center. Come discover our area signed T.Hair Personalized advice and treatments... Serenity & Pleasure in a refined space... Spa lady hairstyle onglerie private cabin and several beauty cabins various specific services: facials, waxing, body treatments, pedicures Spa slimming and other ... Space hairstyle man with private cabin, beauty cabins, facials, body treatments, waxing and shaving the old way. 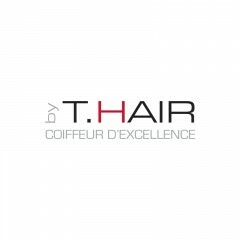 T.Hair team, the passion for your beauty! A team at your service, happiness to everyone. 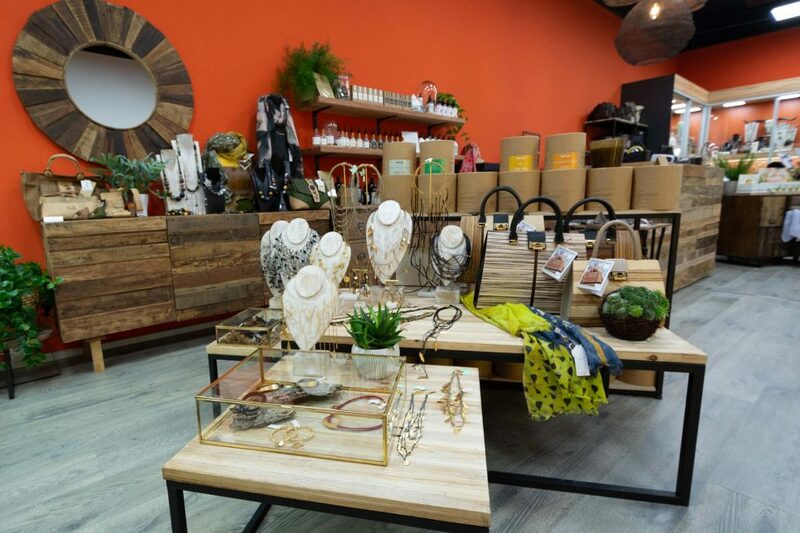 At Tagua Concept Nature, you’ll find a wide range of herbal, organic, ethical and vegan cosmetic products to take care of your body and soul while still respecting both nature and your health. The store also sells natural and handmade jewellery from Europe, watches or wooden and cork bags as well as other original accessories. Behind every product, there is a story will be glad to tell you. At Tagua, we do the selection of our products with the will to support fair trade and respect the animal cause through short circuits and handmade products for a restricted environmental footprint. From Equator to Luxembourg: at Tagua, we sell jewellery made from vegetable ivory which are created by ba a group of women from the Quechuas community in the Andes. Part of the benefits are used for the village children’s education. It’s those women’s work which gave Tagua its name: they use Tagua nuts to shape their creations. 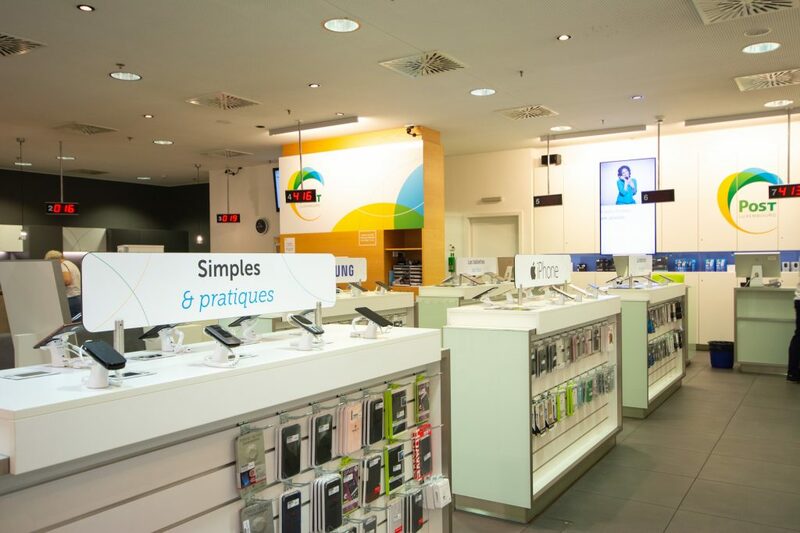 Tango is the leading alternative operator in Luxembourg, offering TV, Internet, fixed and mobile telephony services to residential customers, the self-employed and small businesses. 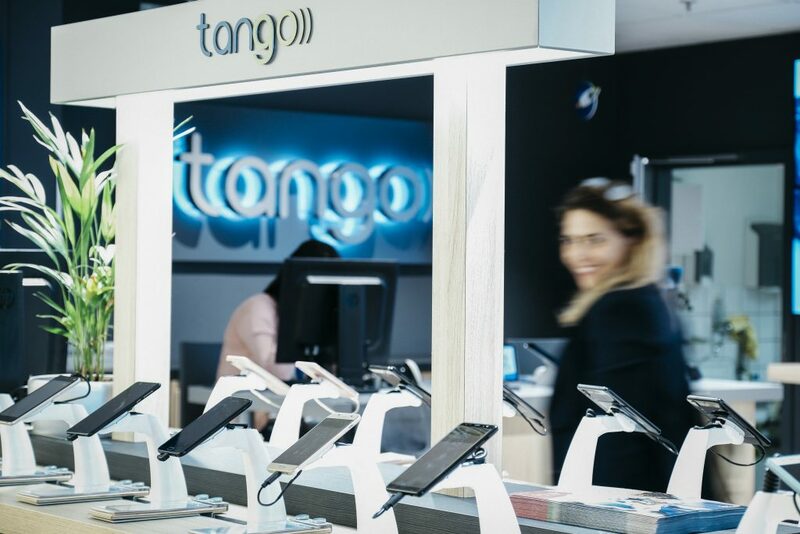 Driven by its taste for a good challenge and intent on offering simplicity and clarity, Tango is focused on the user, and since its inception in 1998, has rolled out a strong innovation policy to provide the best technology at the fairest price. 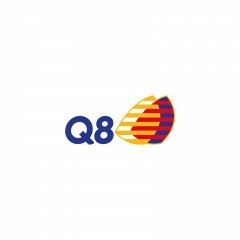 Close to its customers, the company relies on an efficient distribution network which includes nine Tango outlets and 18 partner outlets. Tango also works closely with international partners, such as Vodafone, to ensure an optimal communication experience, even abroad. Thanks to a broad portfolio of products and efficient customer service, today, over 271,000 customers have put their trust in Tango. 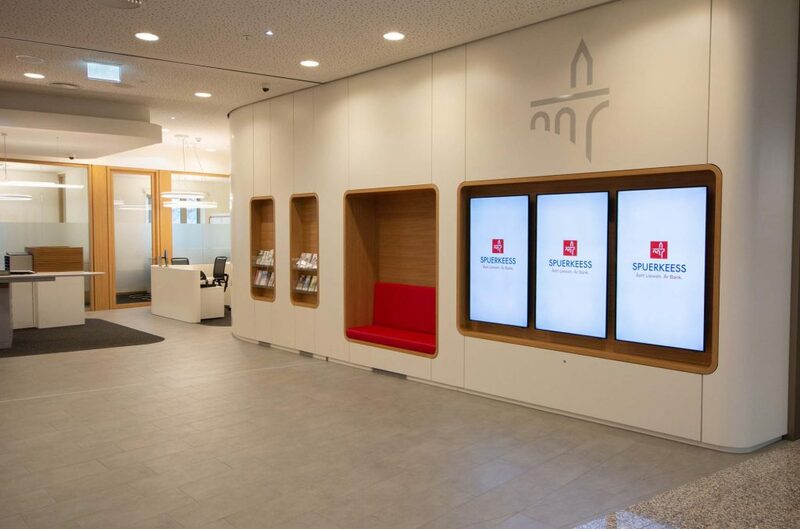 As a member of the Proximus group since 2008, Tango can also count on the support of its sister company Telindus, a leading integrator and operator in Luxembourg offering services in the field of fixed and mobile telecommunications, ICT infrastructure, the Cloud and security. 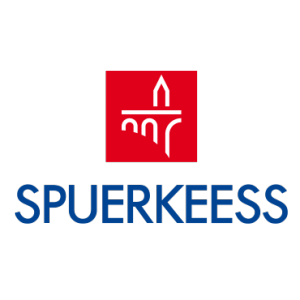 Brought together under the Proximus Luxembourg structure since October 2016, the two companies cover all the expertise required to meet the needs of residential customers and businesses, whatever their size. 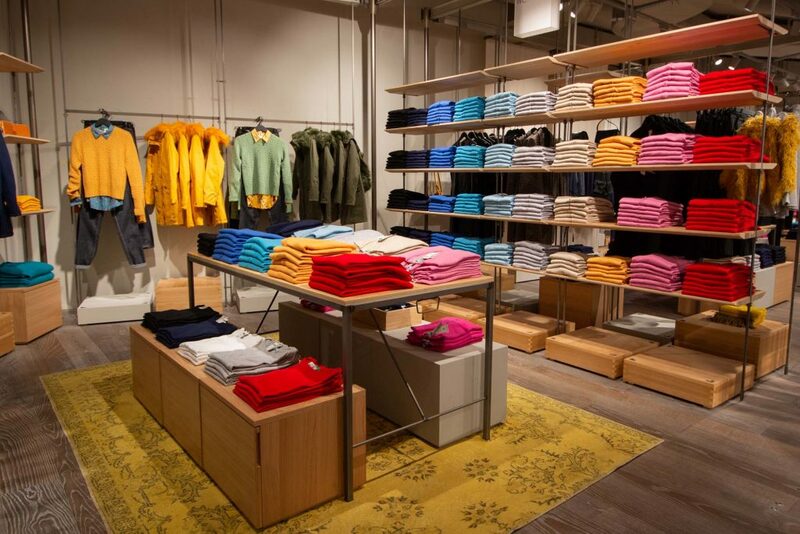 At Version originale, you'll find limited editions, the newest products, as well as classics. We love to travel is way more than just a name, it is a philosophy. A journey is lived by the experience and emotions of our travellers and our travel agents. We love to travel City Concorde welcomes you to our travel agency, both pleasant and modernized. Visit us, experience pure relaxation, leave aside the hassles of everyday life and start dreaming. 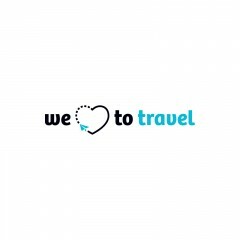 Don't hesitate to visit our website or contact your travel lovers via Facebook. Following the success of their very first store in Bastogne (Belgium), Jean and Lionel Windeshausen arrived in Bertrange in 2009. 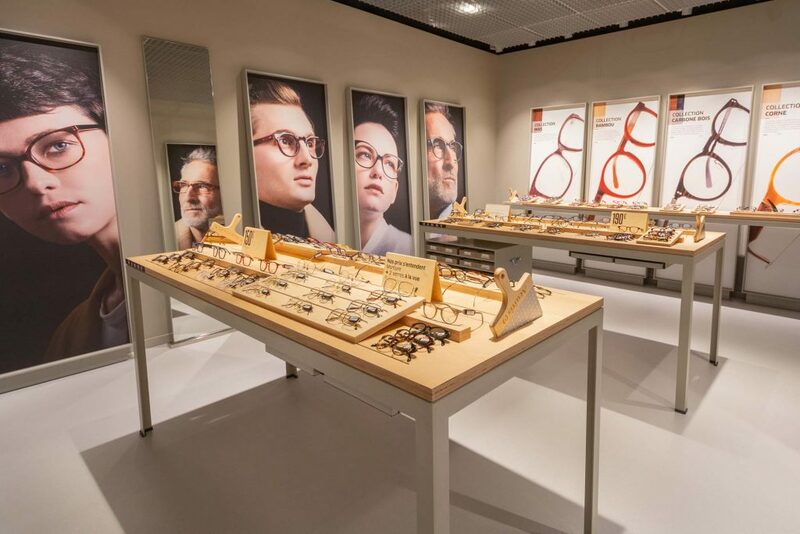 This new store dressed in shades of orange located opposite the Lacoste store soon became home to the major Swiss watch brands. Rolex, Hublot, Chopard, Chanel, Cartier, Zenith, Breitling, and TAG Heuer found a place among the trendiest jewellers. 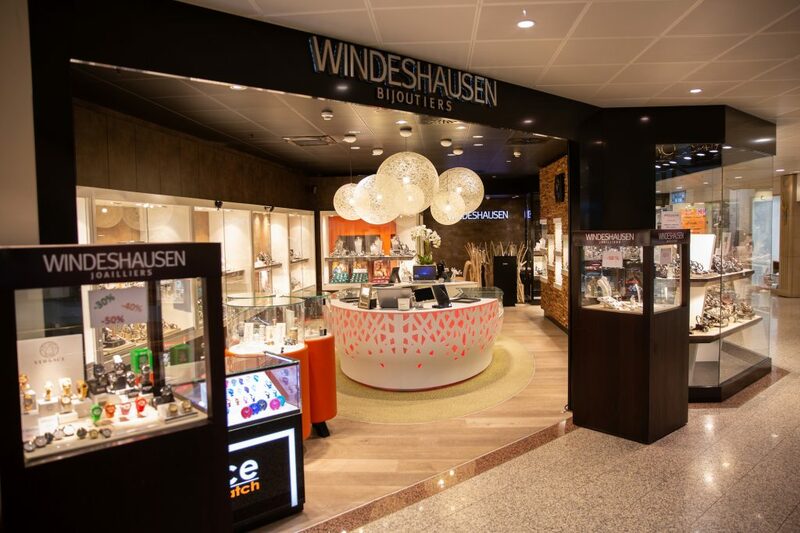 With a view to meeting the needs of increasing numbers of customers, Windeshausen Joailliers decided to diversify its business and opened a second, trendier store, opposite Oberweis, in 2013. This new brightly-coloured space’s shop window is filled with the latest creations from Bell & Ross, Ebel, Rado, Tudor, Oris, Hamilton, Frédéric Constant, Michel Herbelin, Certina and Tissot, among others. Of course, jewellery is also well represented with companies such as Fred and Dinh Van which have their own special corner. 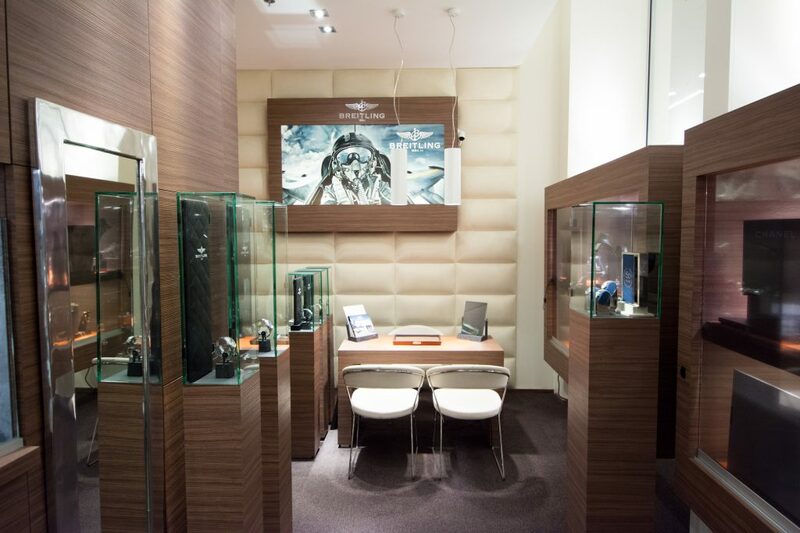 Two full-time watchmakers put their expertise at the service of their customers, for optimum satisfaction and service. “Les autres essaient, moi, JOZ !” (Others try, I dare) This sentence, as innocuous as it may seem, actually reflects the full extent of Jean Windeshausen’s ambition one night in October 1982. The opening of the first store in Bastogne launched the family business which his son, Lionel, would soon join. After a successful launch, Jean and Lionel Windeshausen, trained jewellery creators, set out to find a new space that would highlight their talent. In 2009, they made a first and quiet incursion into Bertrange’s City Concorde, and the luxury watch brands were soon competing to be featured in the family business’ storefront. In time, prestigious companies such as Rolex, Hublot, IWC, Chopard, Chanel, Cartier, Zenith, Breitling, TAG Heuer among others, found a place among the most famous jewellery brands, including Messika, Hulchi Belluni and JOZ, the “house” collection, a nod to a line that promotes uniqueness. If you are looking for a new look, an exceptional or unique piece, Windeshausen Joailliers meet all your needs, in particular thanks to their workshop in which they can create custom-made pieces in line with your desires and your budget. 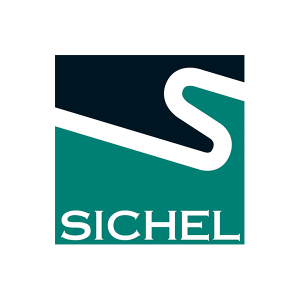 Watch enthusiasts will enjoy the services of the repair workshop and the expertise of watchmakers certified by the biggest Swiss brands. 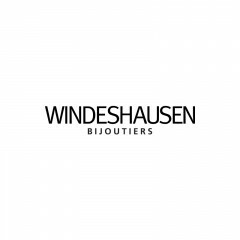 Although Windeshausen Joailliers made it their mission to offer the most beautiful timepieces and jewellery in their store, they still wished to be of service to those customers looking for trendier models. 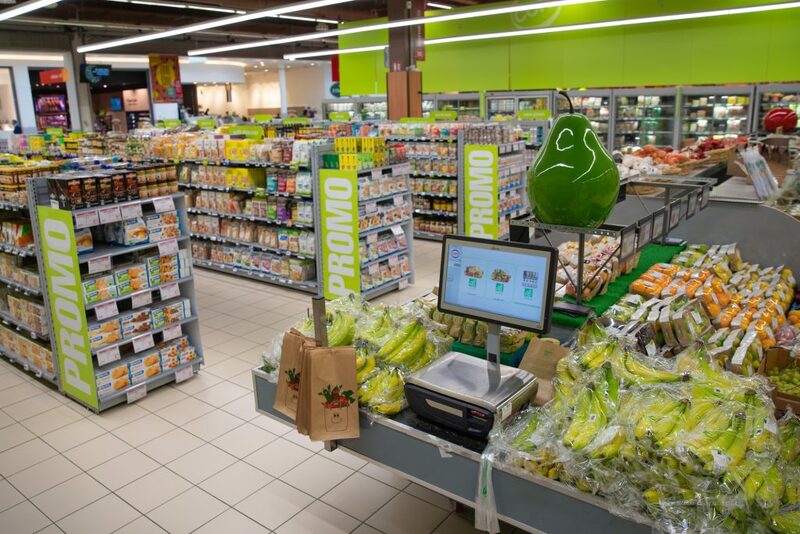 To this end, they inaugurated a second store, a few feet away from the main store, in 2013. 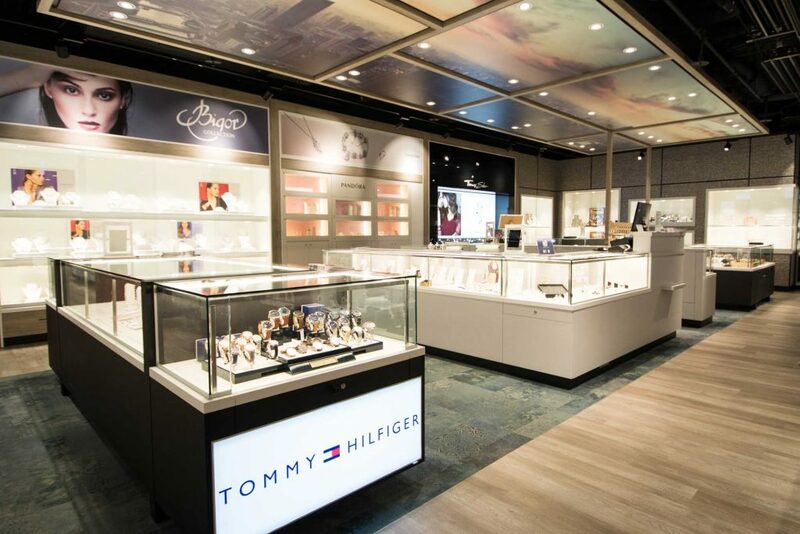 This new brightly-coloured space’s shop window is filled with the latest creations from Bell & Ross, Ebel, Tudor, Oris, Hamilton, Frédéric Constant, Rado, Certina, Swatch and Tissot, among many others. Of course, jewellery is also well represented with companies such as Fred and Dinh Van which have their own special corner. Two stores, a shared know-how. A recommended and trusted advisor.